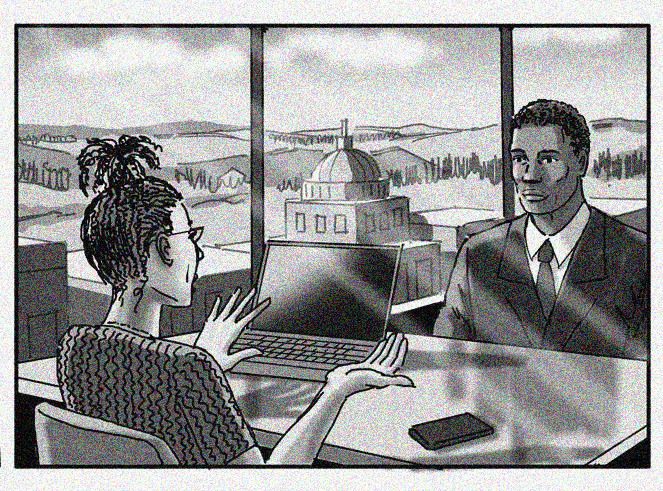 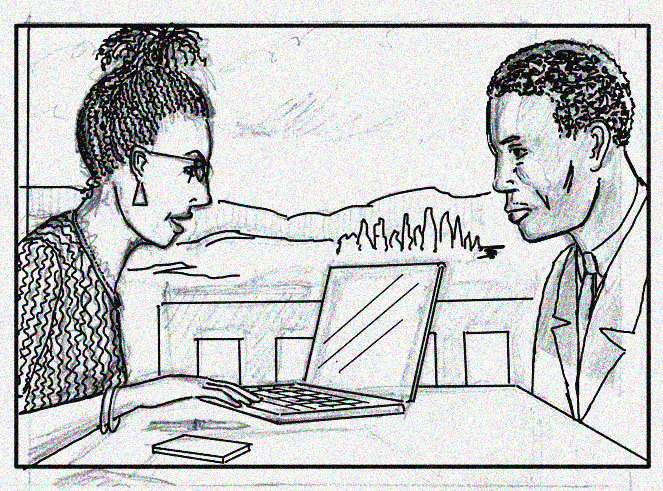 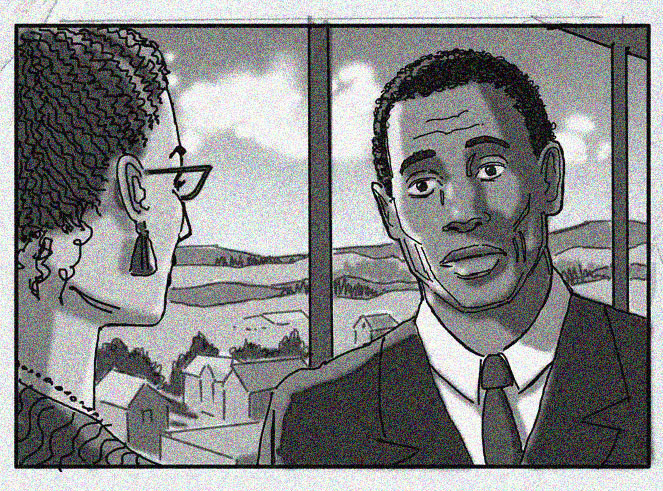 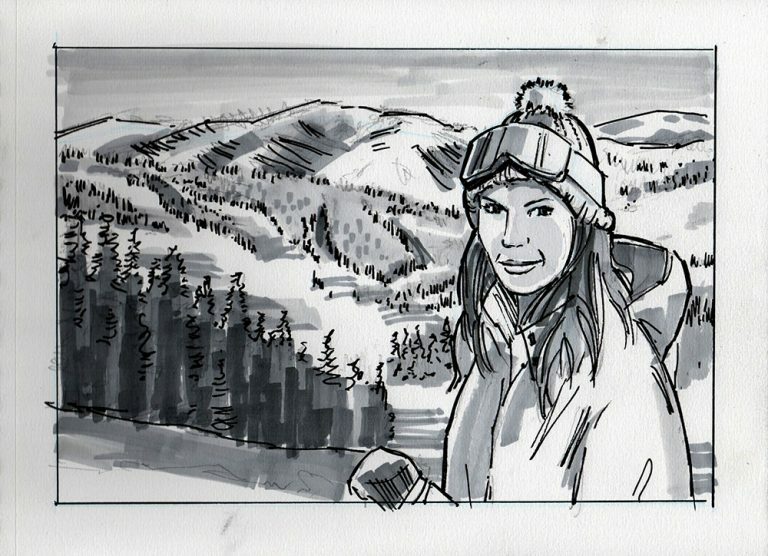 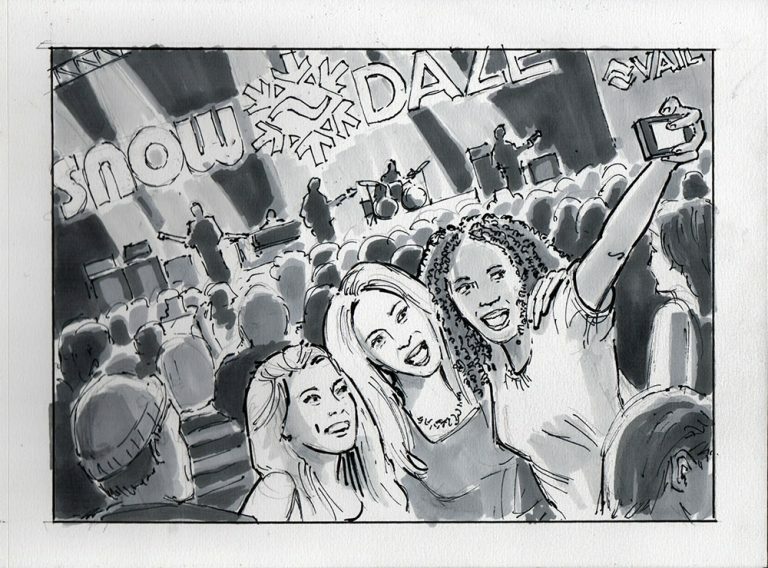 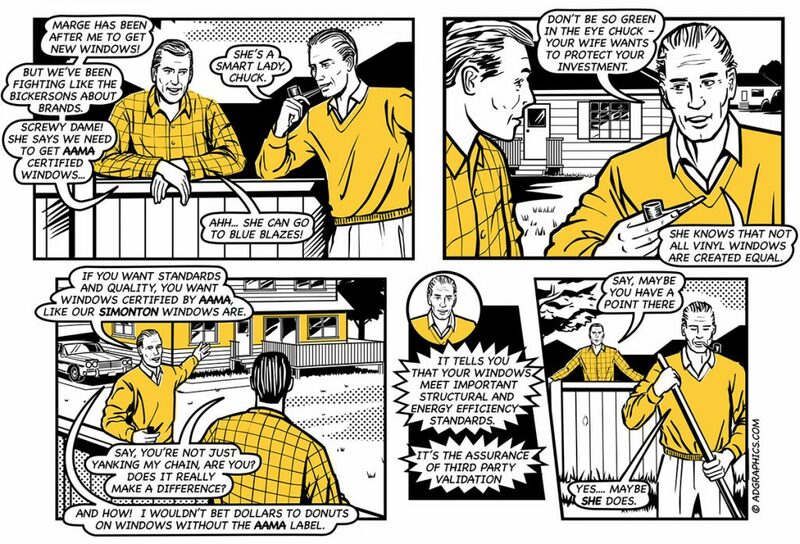 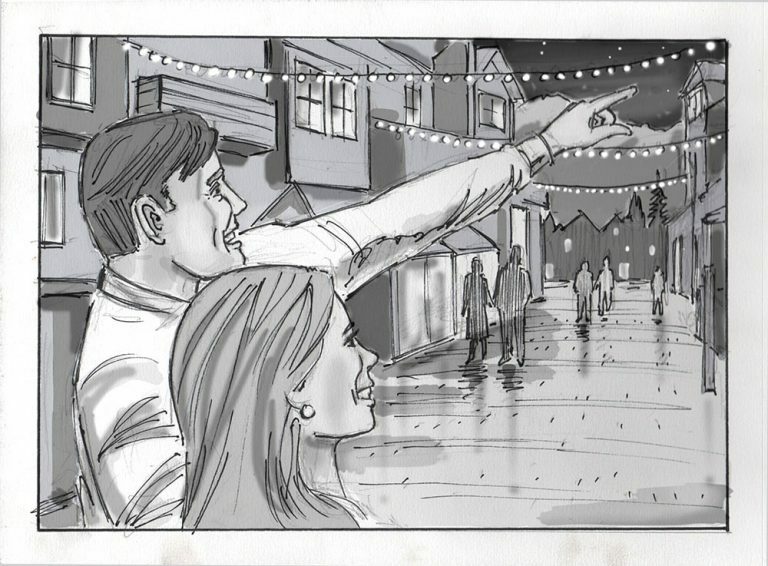 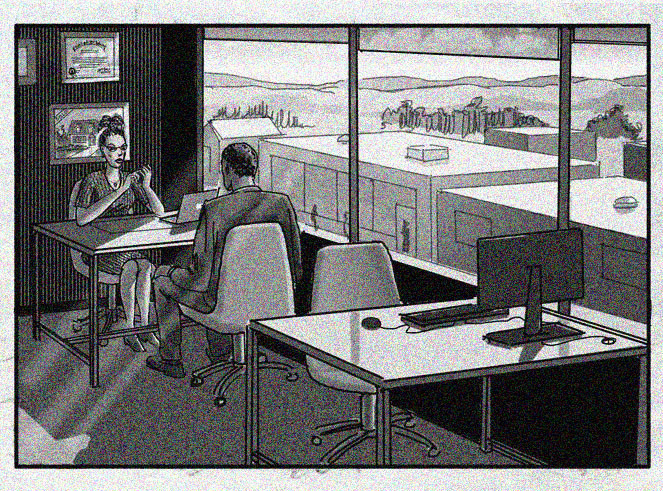 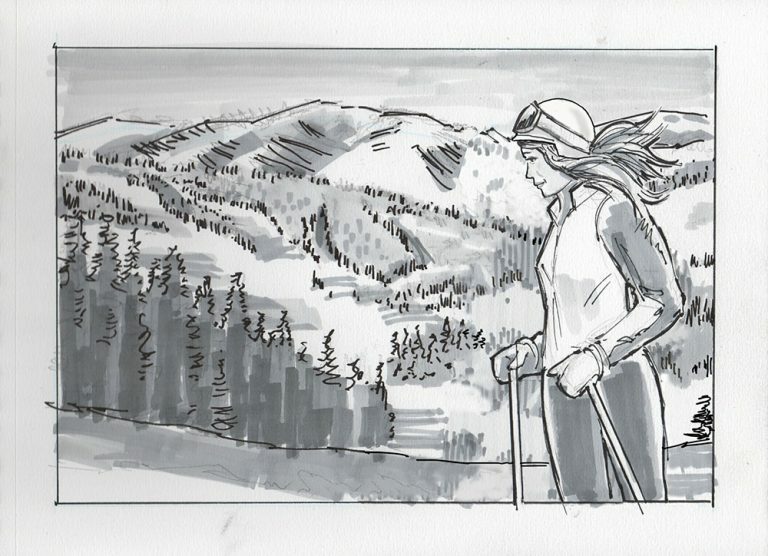 If you need industry-standard storyboards or ad comps, you’ve come to the right place. 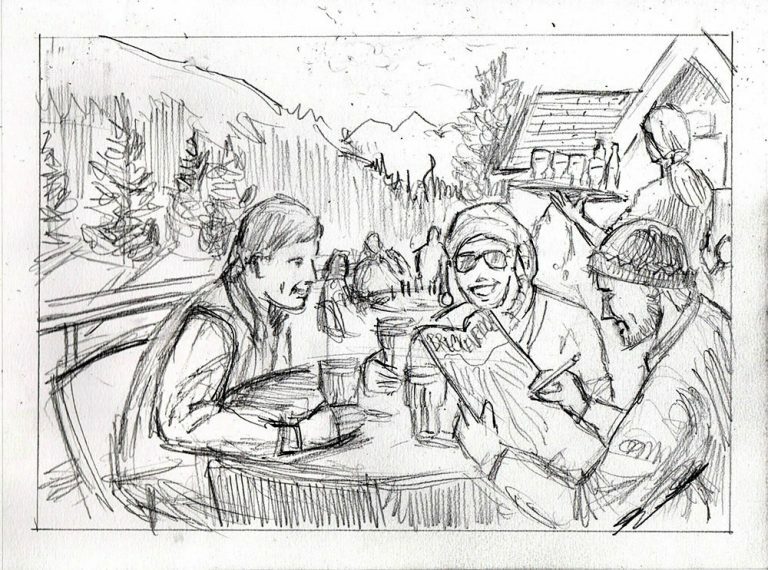 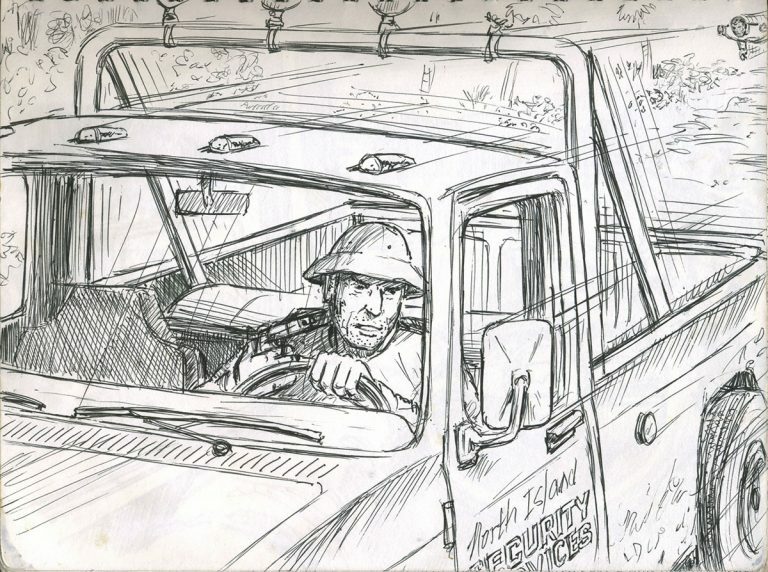 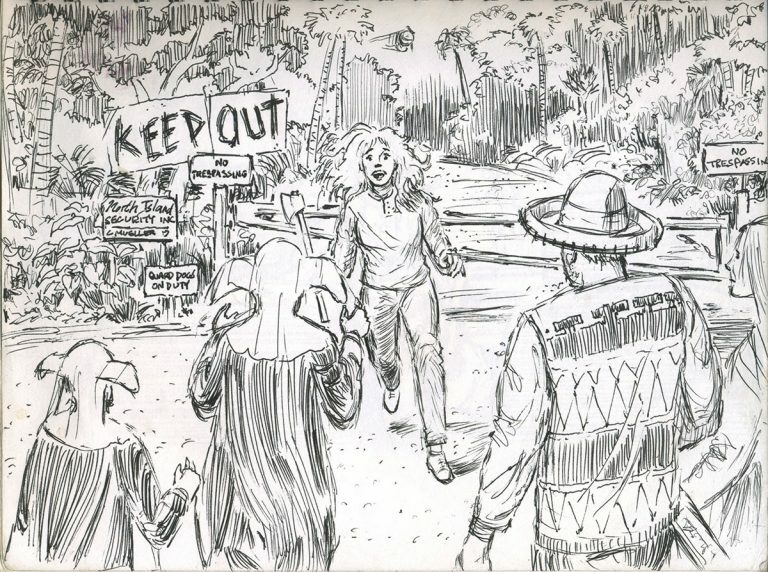 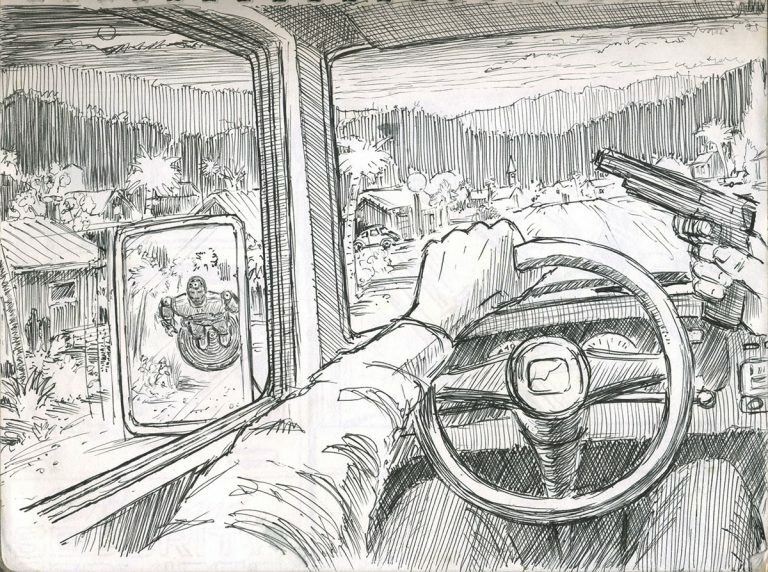 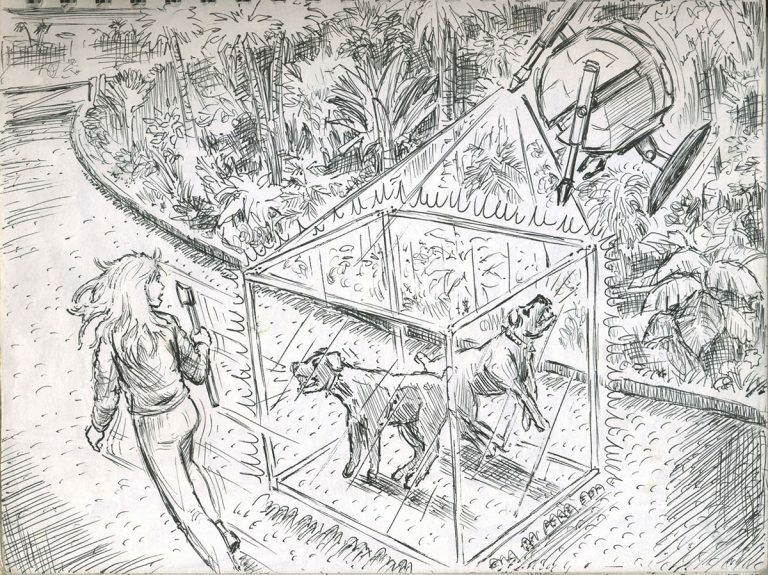 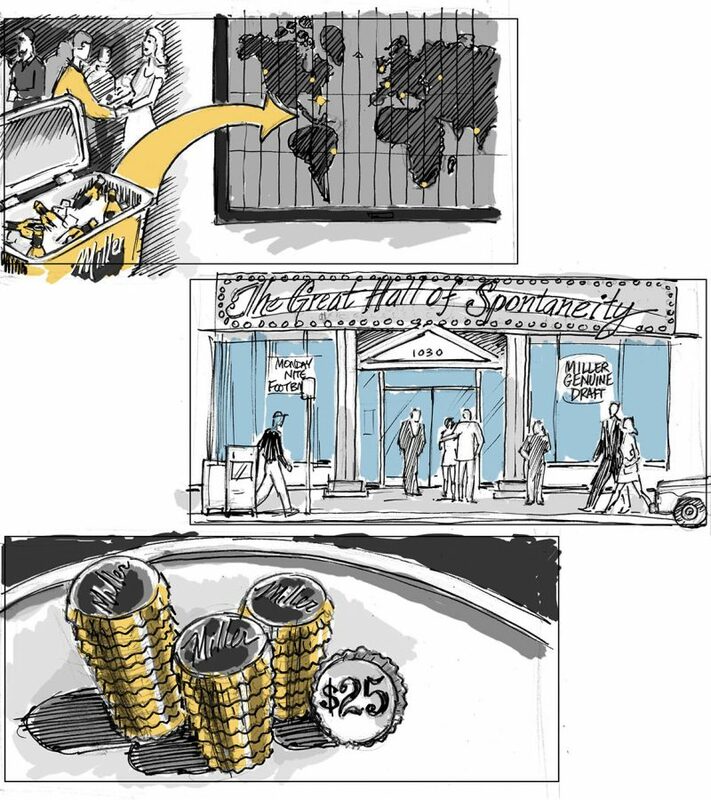 We can produce hand drawn, classic storyboard frames to any degree of complexity or detail you require, as line art, grayscale or full colour. 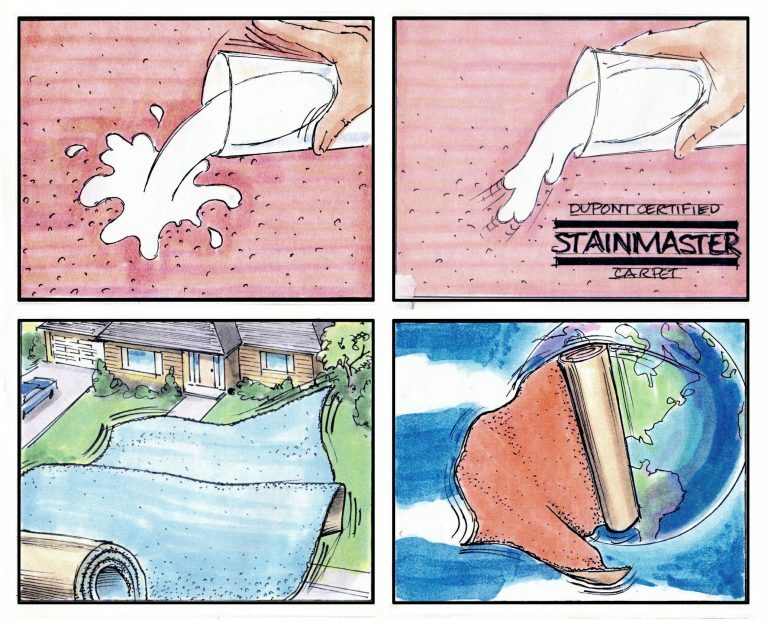 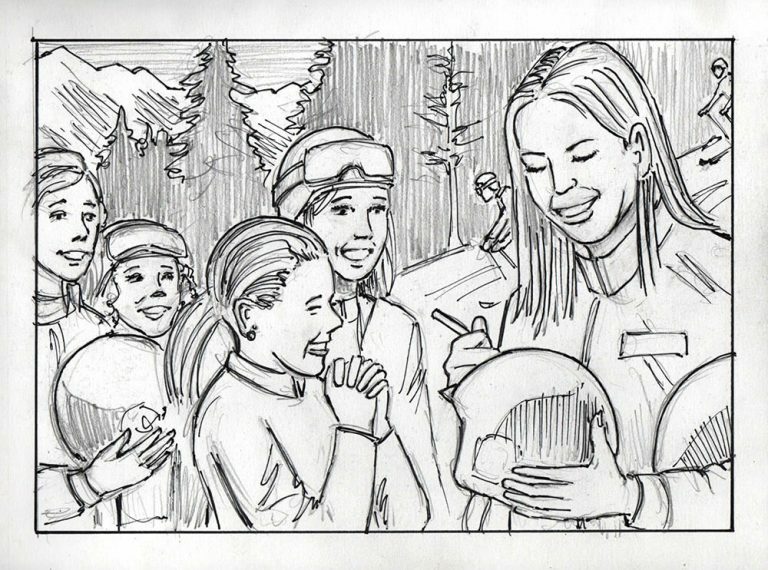 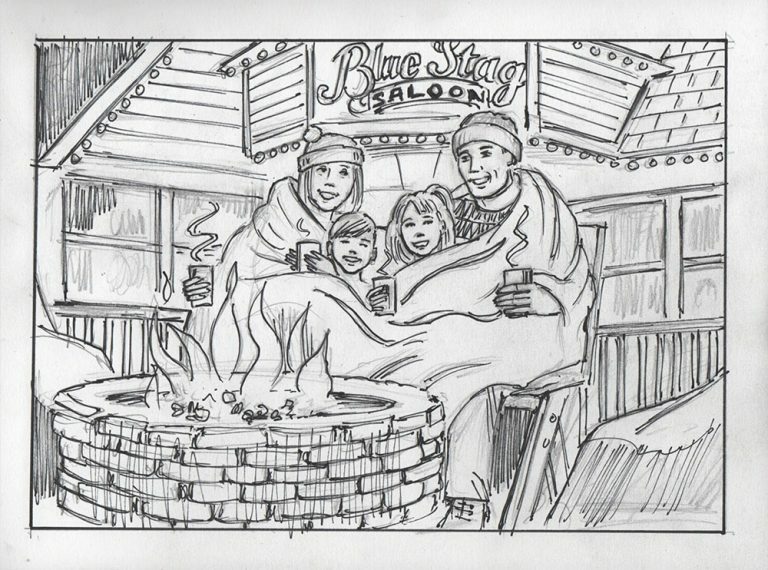 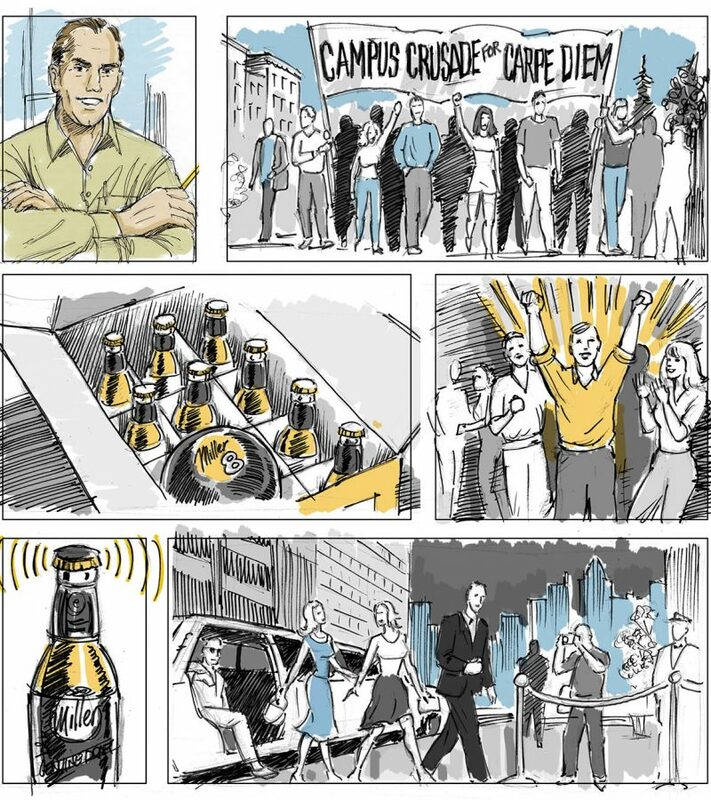 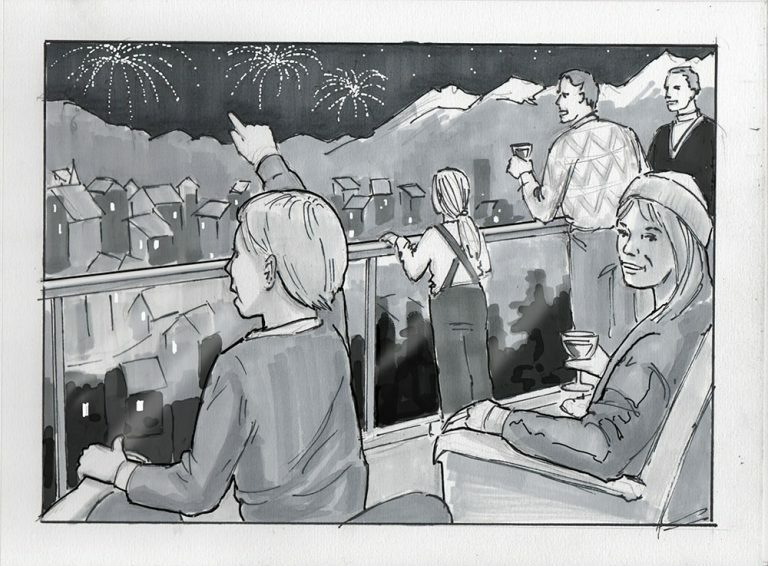 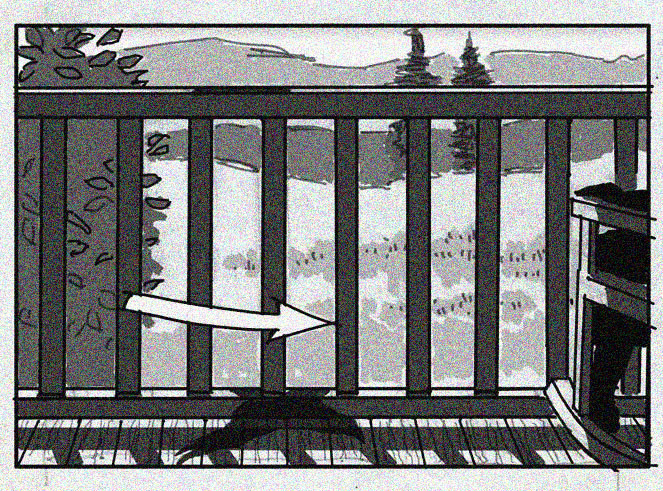 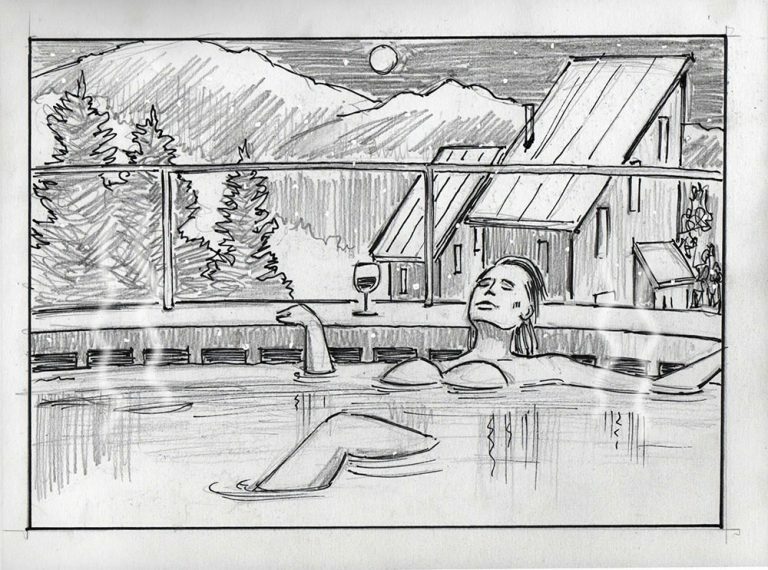 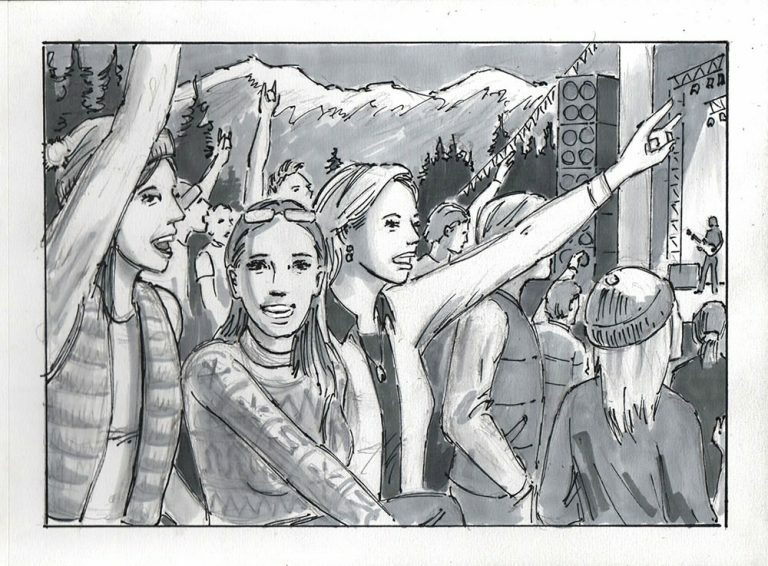 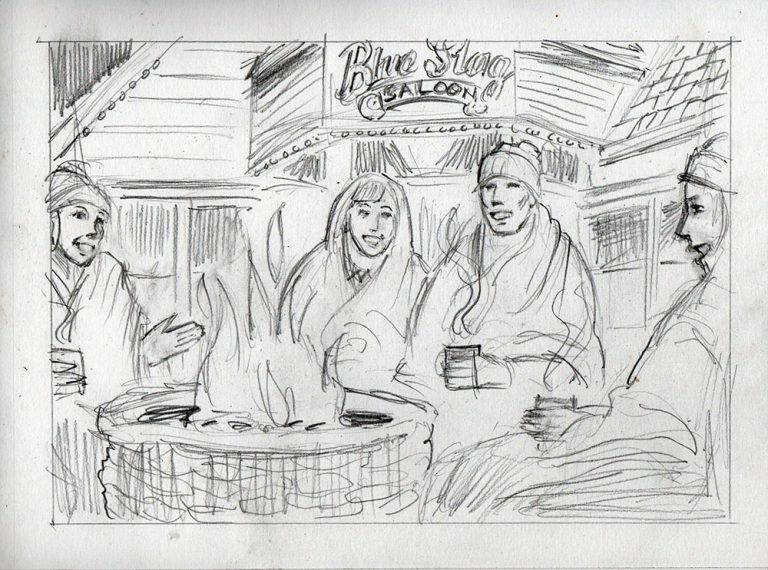 <<< Here are some examples of a classic, “industry standard” style of storyboard we did for Vale Resorts in Colorado. 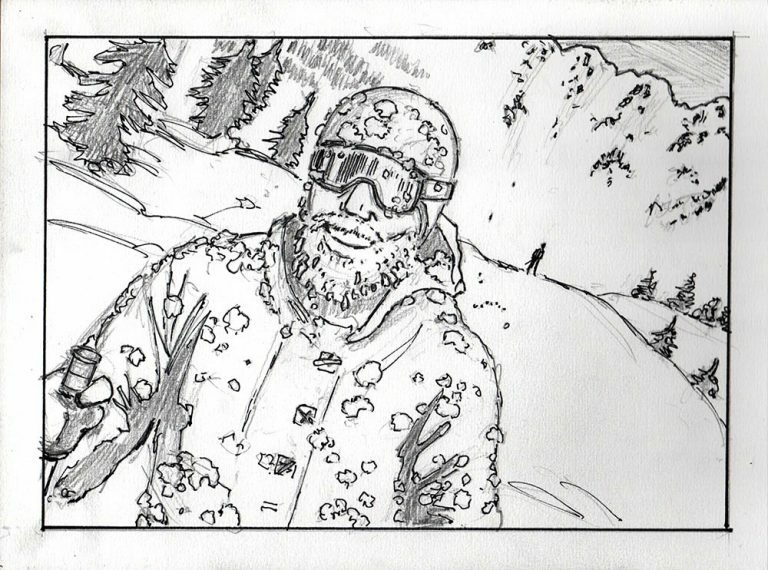 These frames take approximately 1.5 hours to complete. 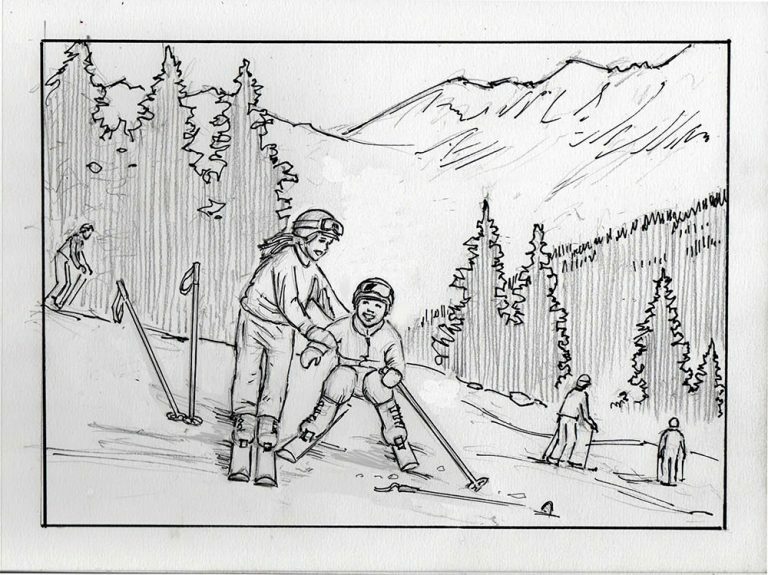 Three styles are included here: 1) pencil only; 2) pencil & ink; 3) ink with magic marker shading. 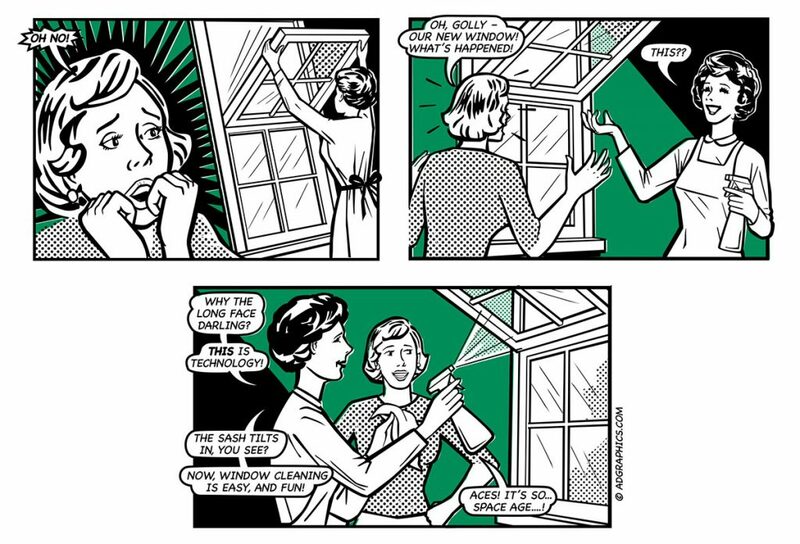 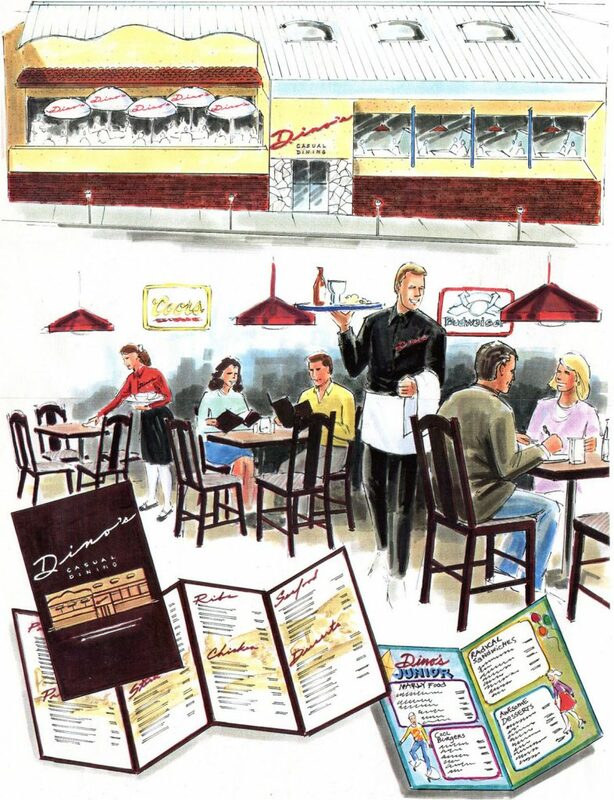 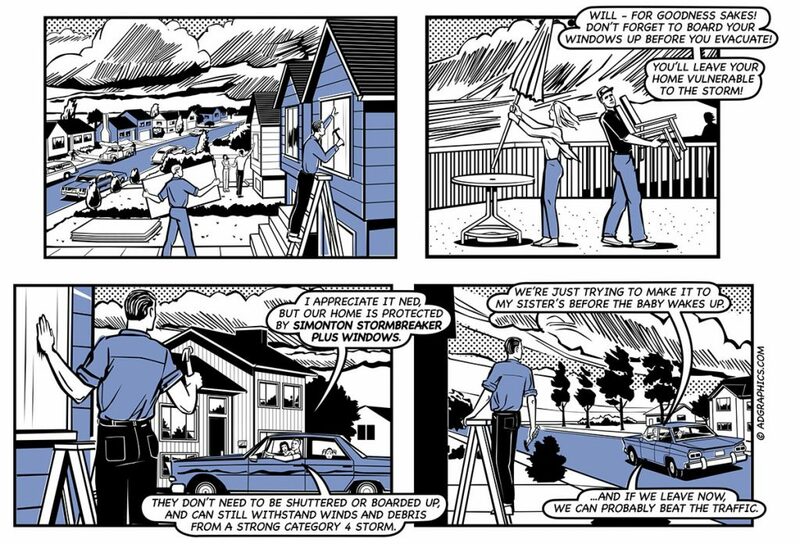 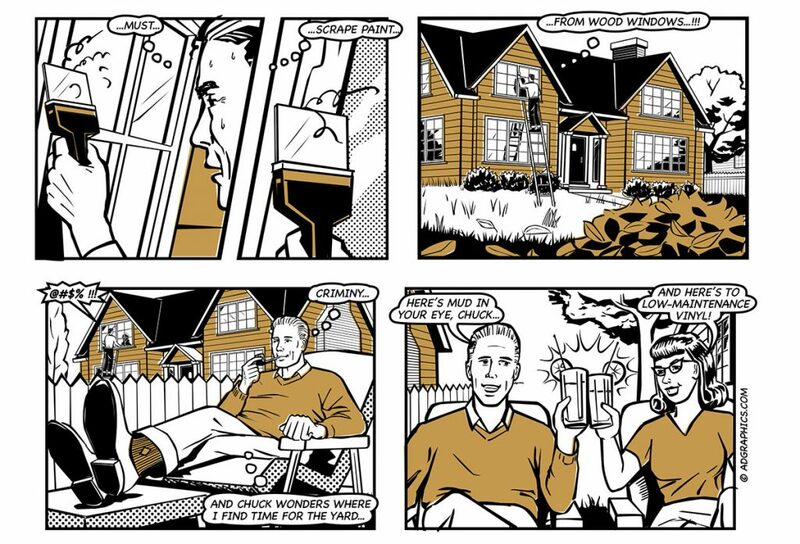 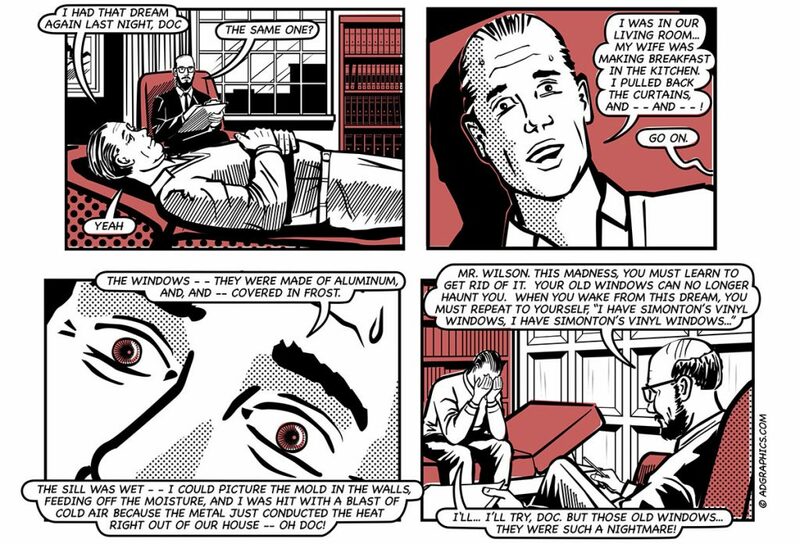 Below is a series of “retro-style” storyboard frames we created for Simonton Windows in W. Virginia. 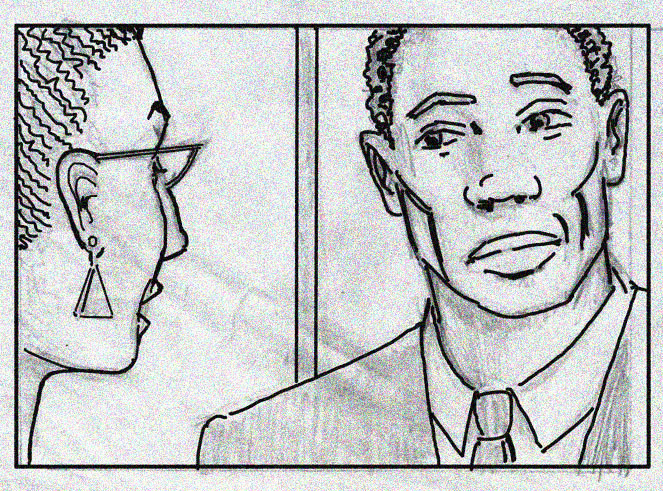 The initial drawings were done in pencil, and then we did the “inking” by vectorizing the drawings in Adobe Illustrator, where we added the dot screens and the talk balloons. 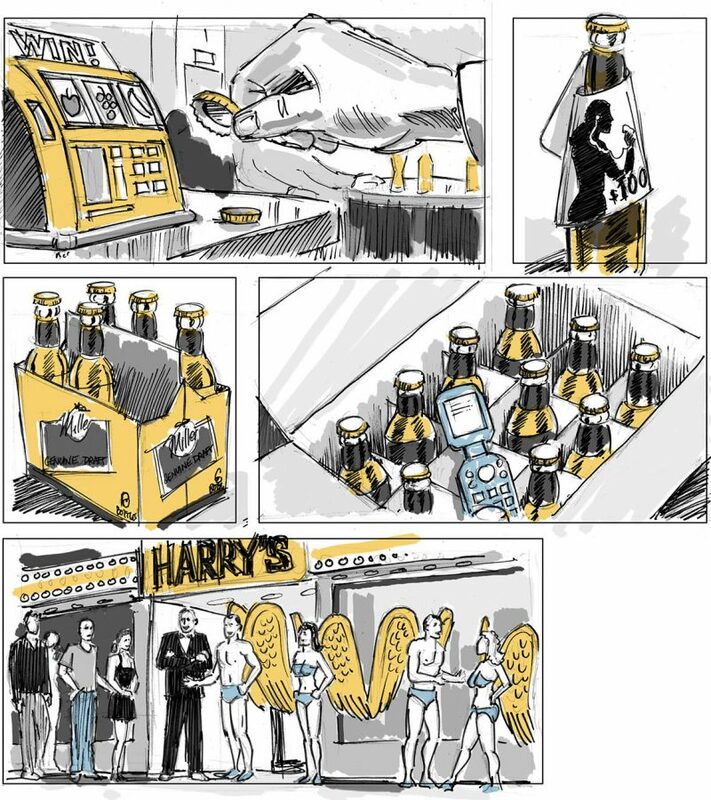 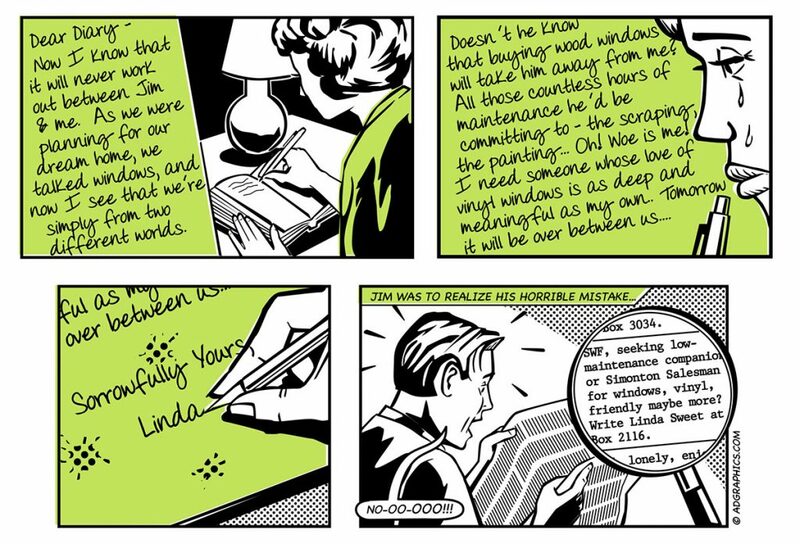 It’s a longer, more costly process than typical storyboards of course, however the effect can be quite striking, so it may be worth it for you depending on your project requirements. 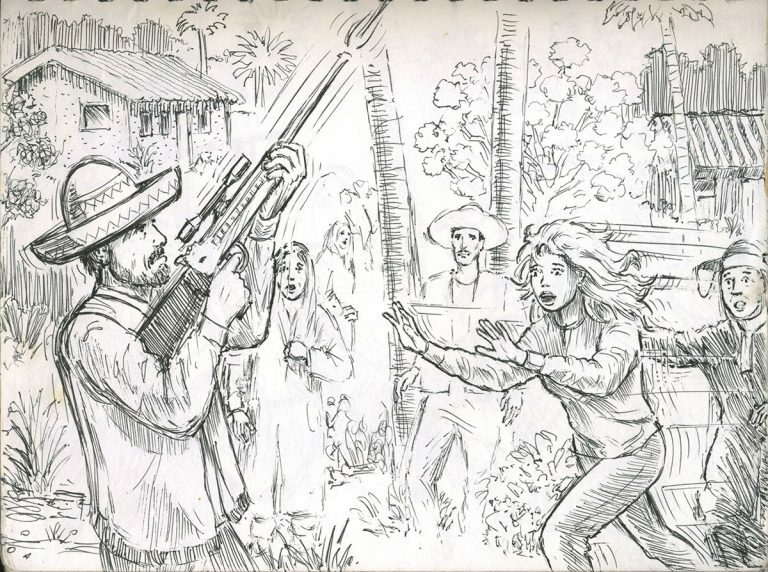 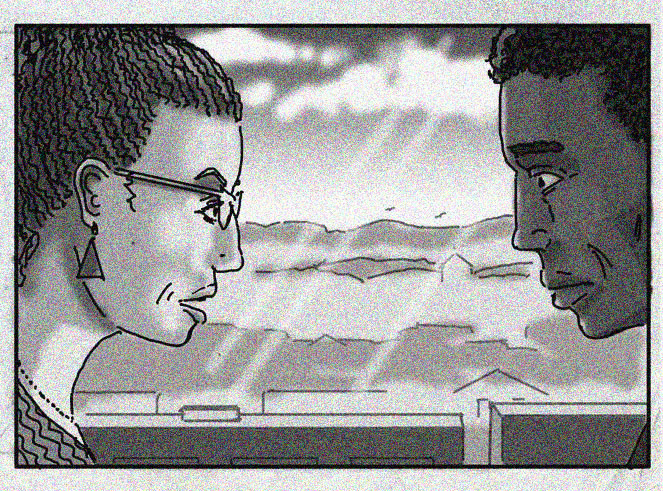 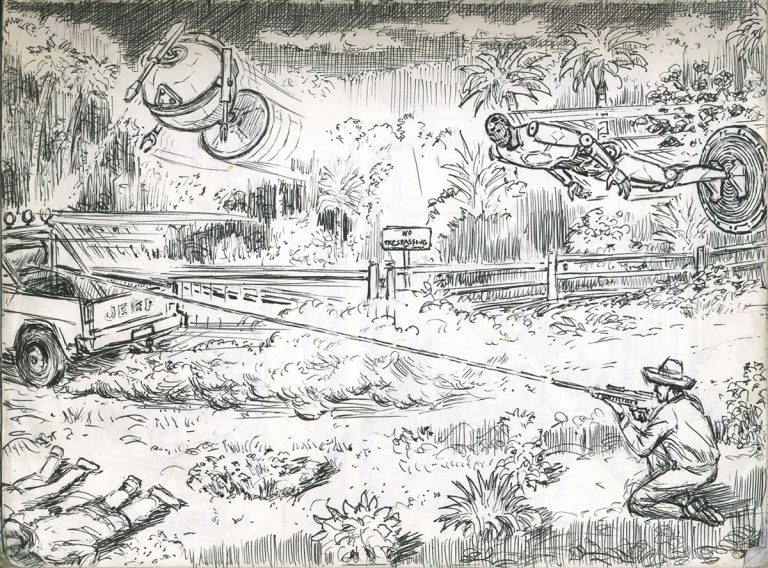 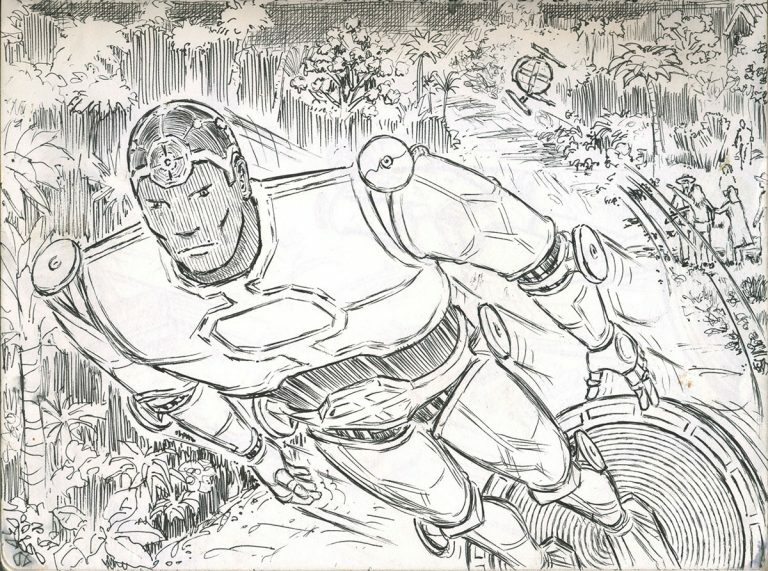 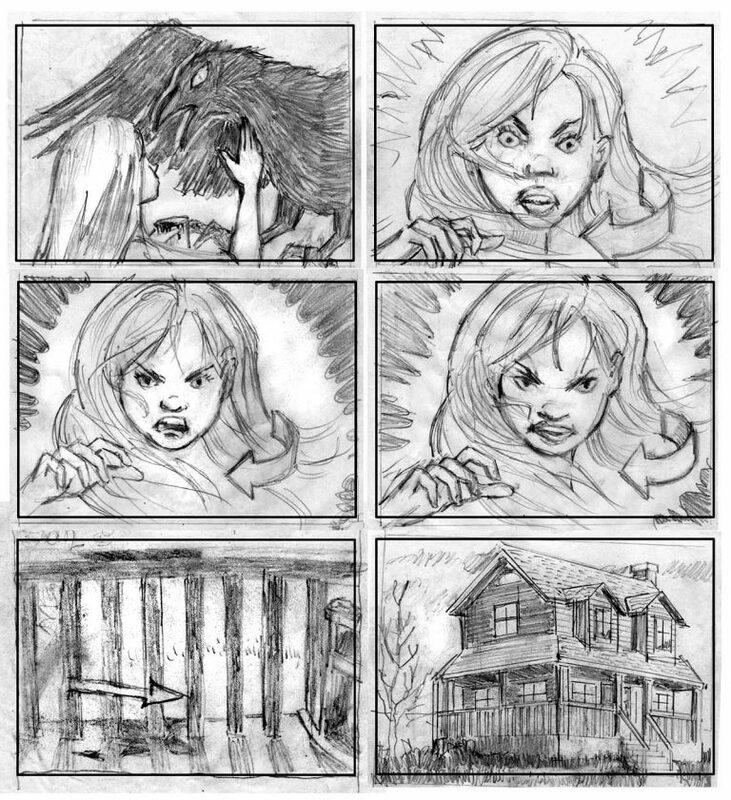 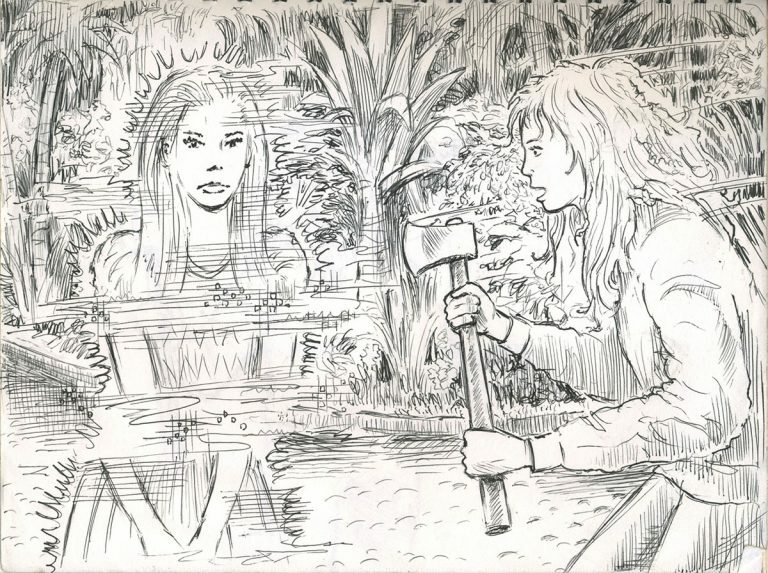 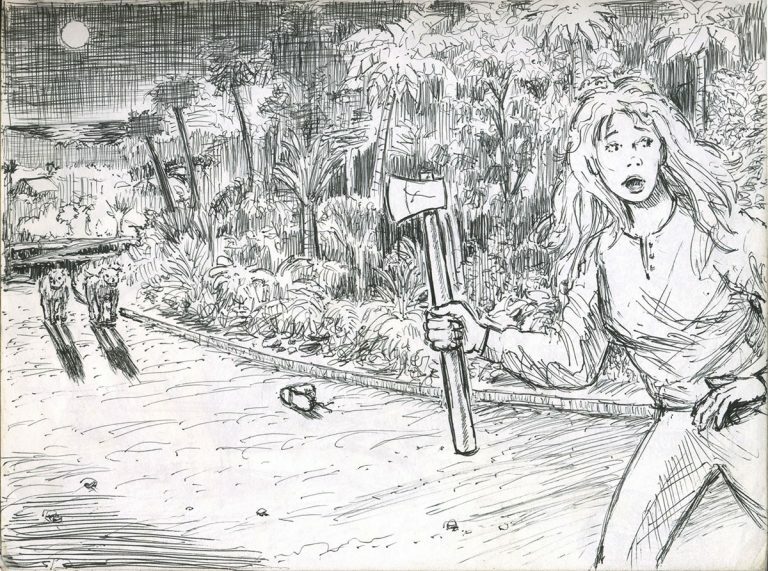 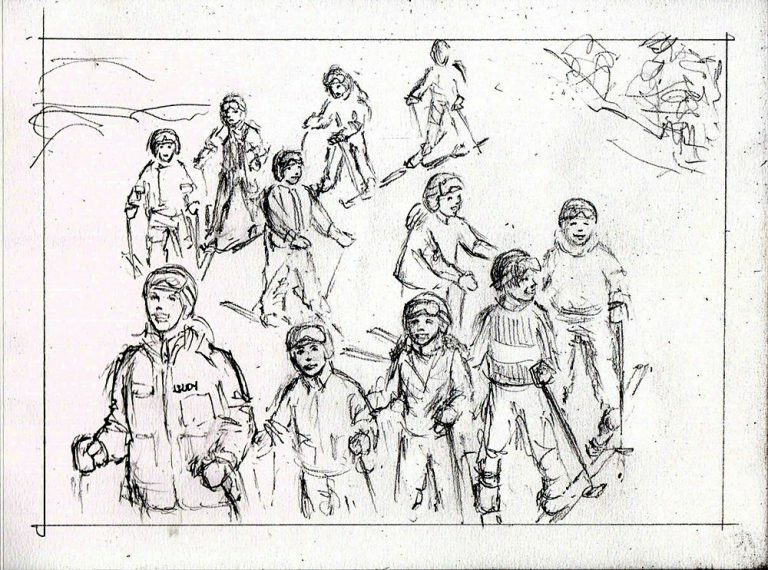 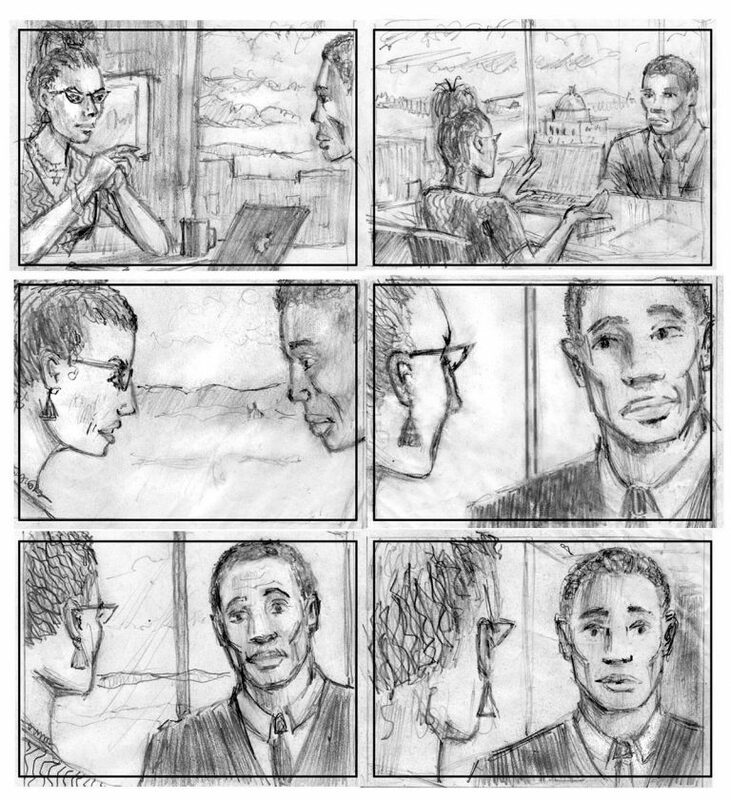 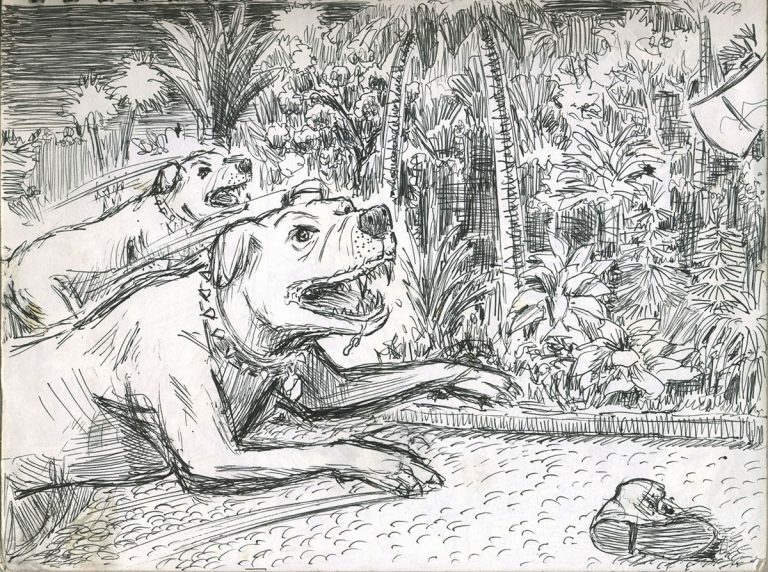 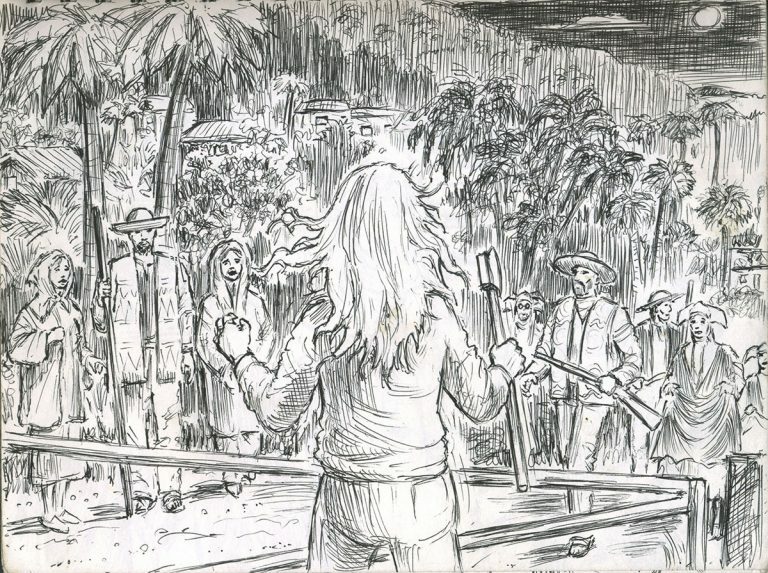 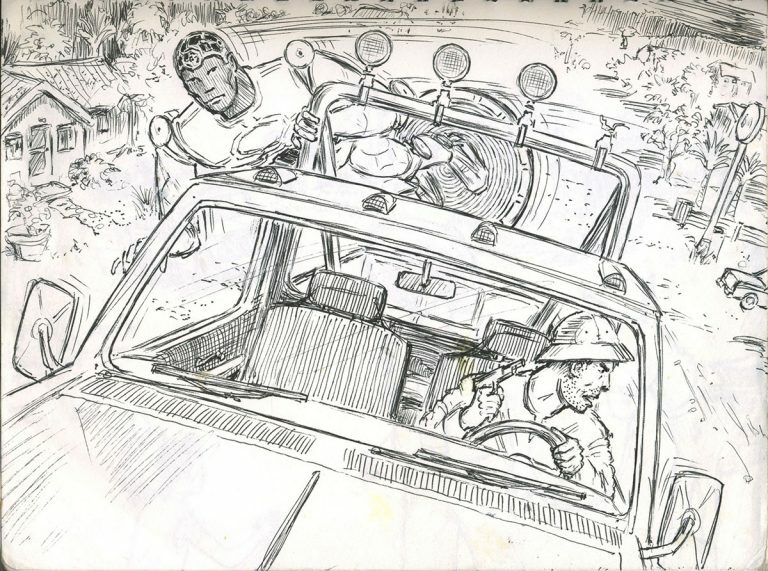 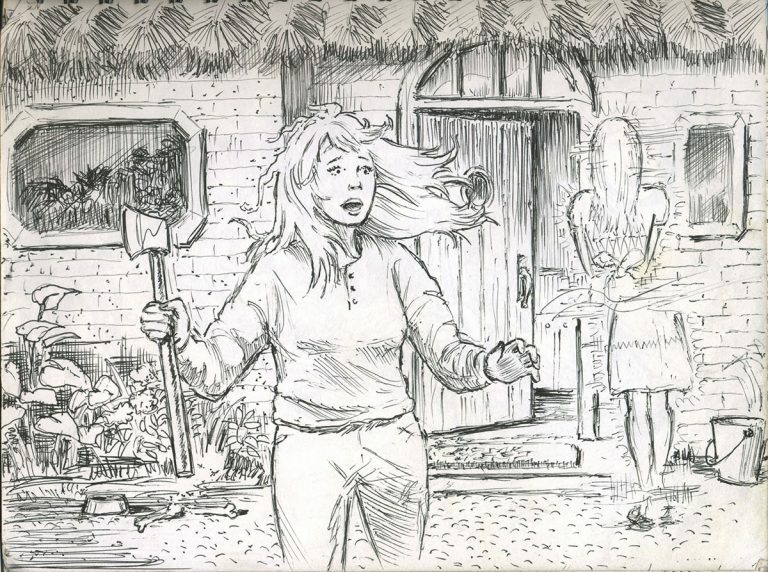 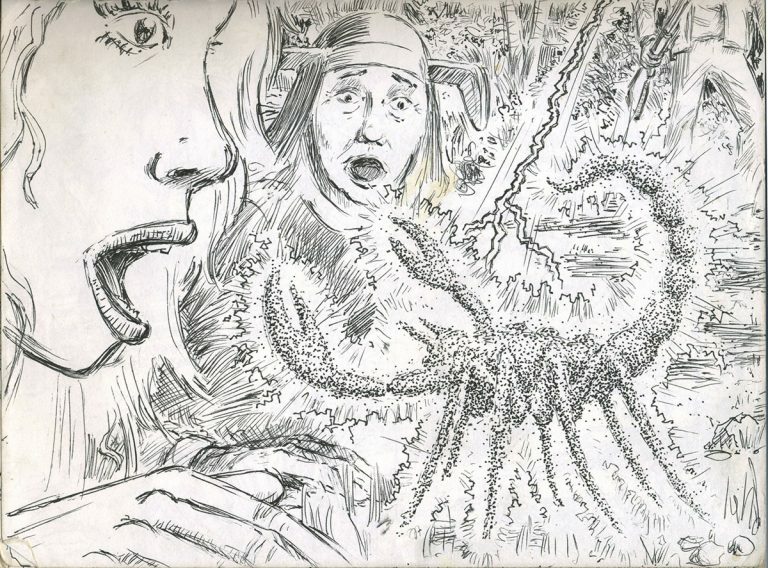 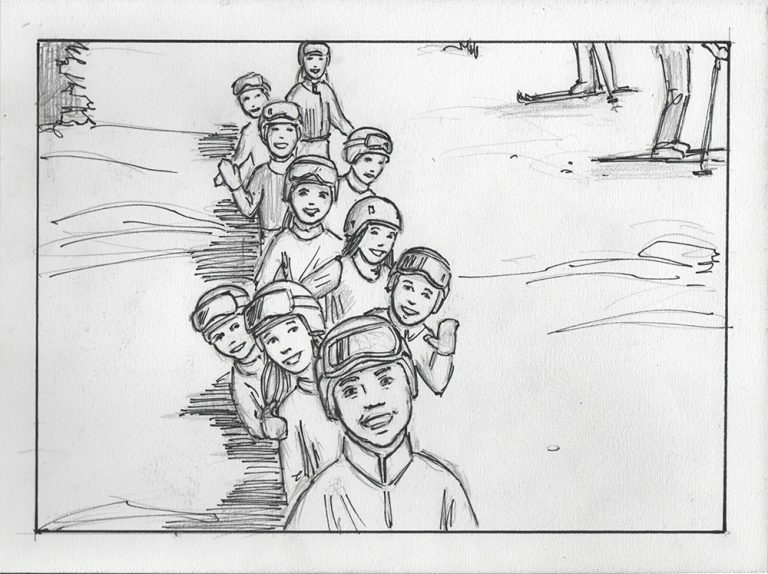 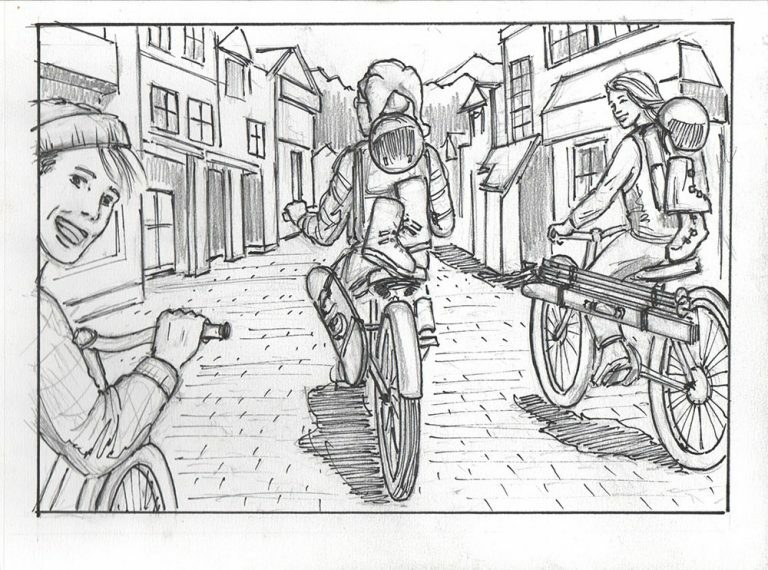 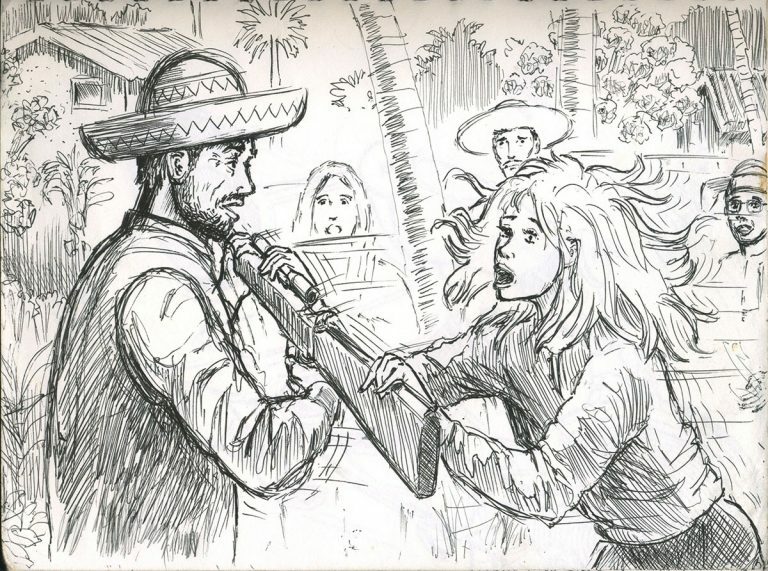 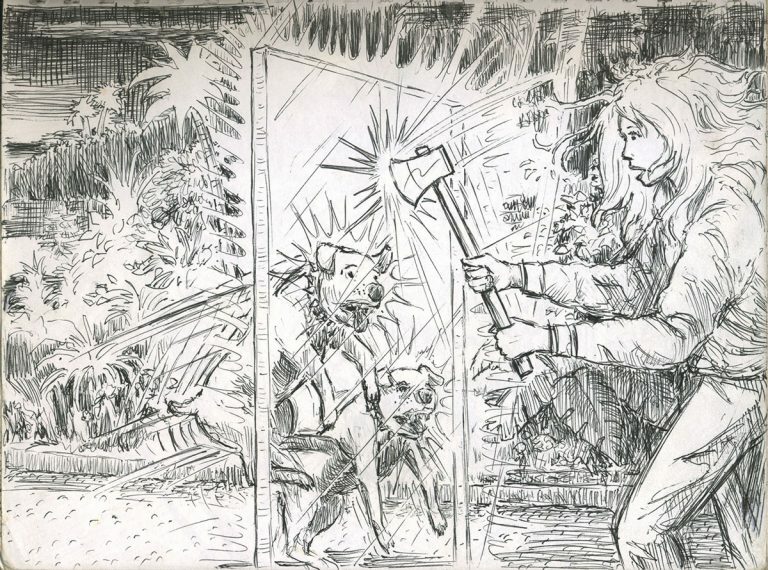 <<< This storyboard, which is a proposal for a movie production by Foresight Entertainment, is more of the “quick and dirty” style… just fast pencil sketches without any fanfare, just to get the idea across. 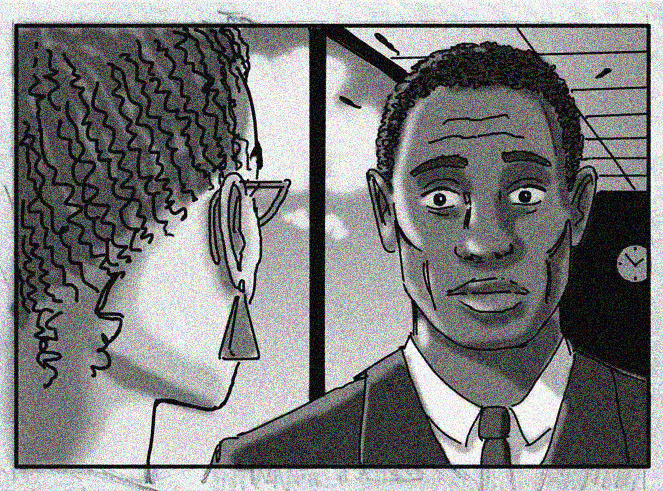 Of course structural integrity, perspective, body proportions, accurate character representation, body positioning and facial expressions are still in order, but this is a style of storyboarding which can be done fairly quickly… averaging about an hour per frame, depending on the complexity. 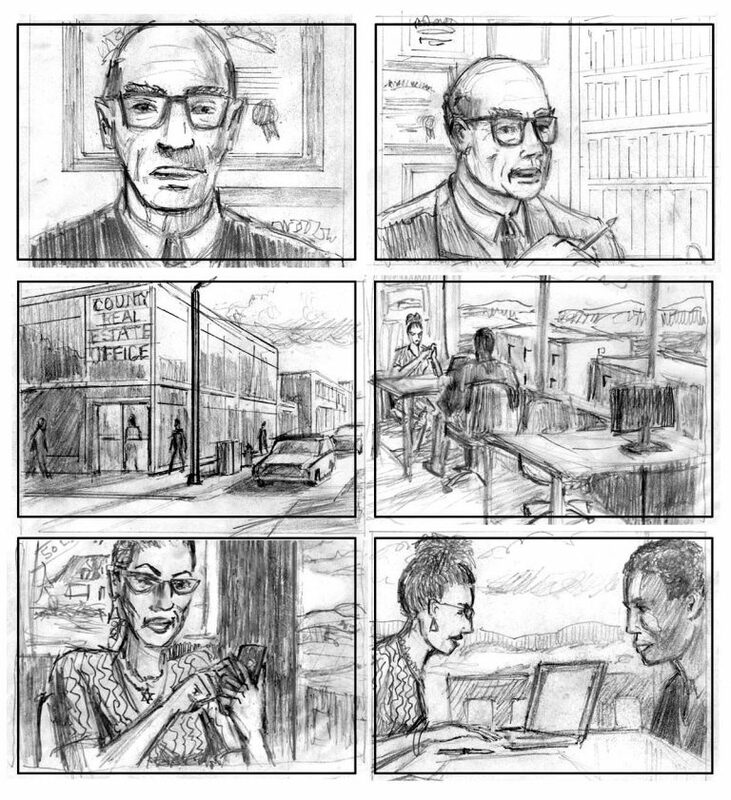 On the right is a typical storyboard we produce “on the fly”, as in “live”, in the conference room, with the client actually looking over our shoulder, expecting it to be done right quick! 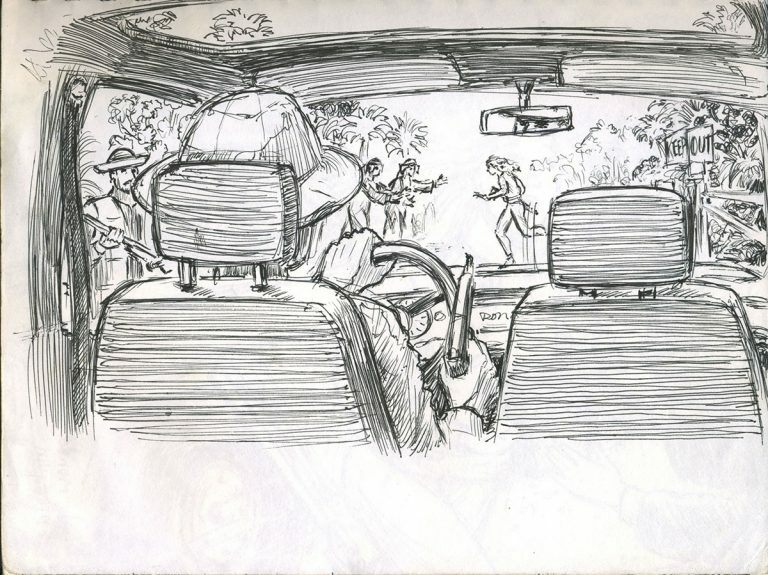 It can be a very intimidating experience to say the least, but when the client says, “I want to see some classy men and women getting out of a limo and entering a downtown high-end nightclub”, you better be ready to imagine and DRAW that scene immediately, straight out of your head, as they watch, or you are OUTTA there! 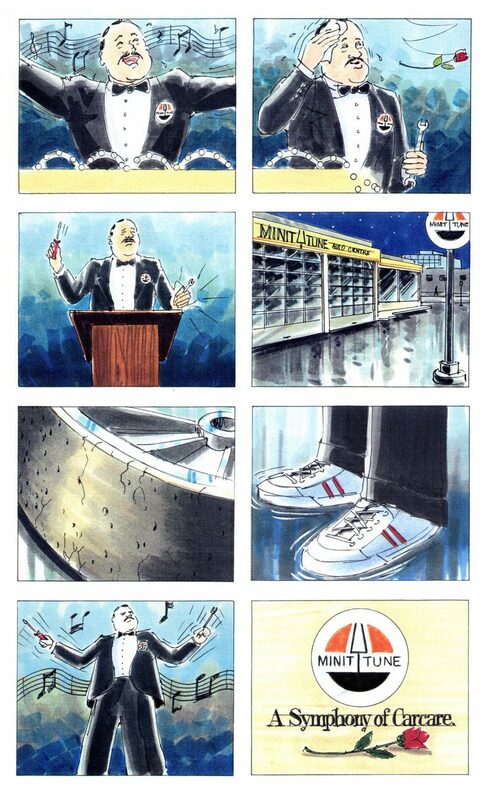 LOL Keeps you on your toes! 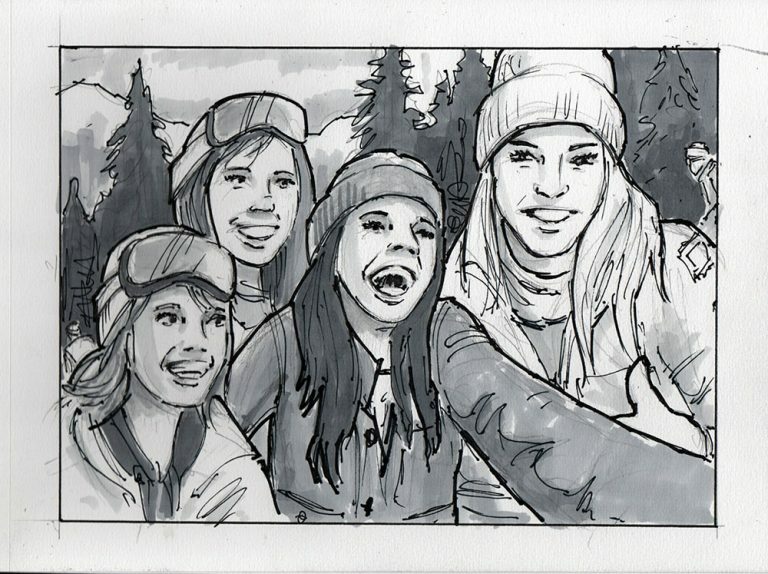 Loads of fun! 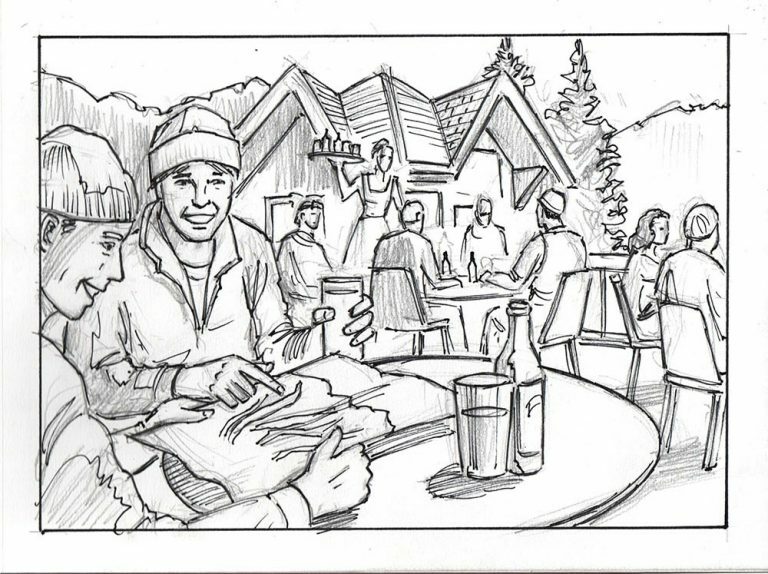 We produced the storyboard below in 2 days for a BC Transit ad campaign. 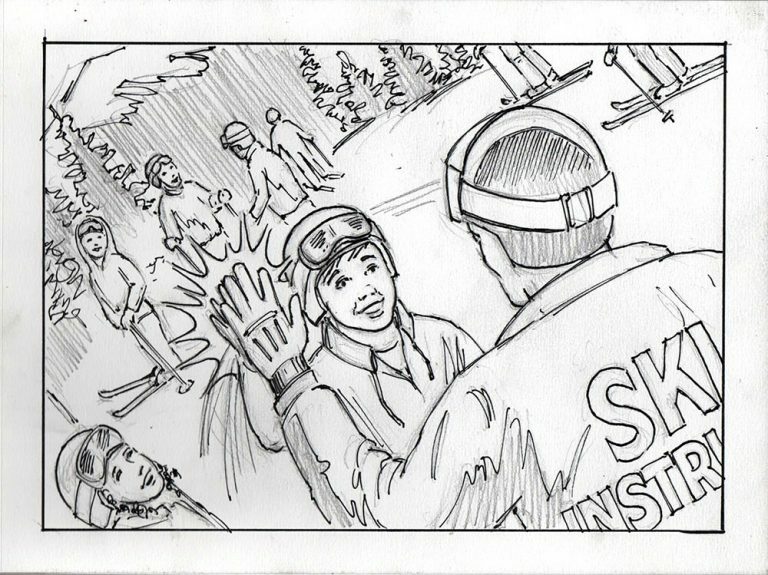 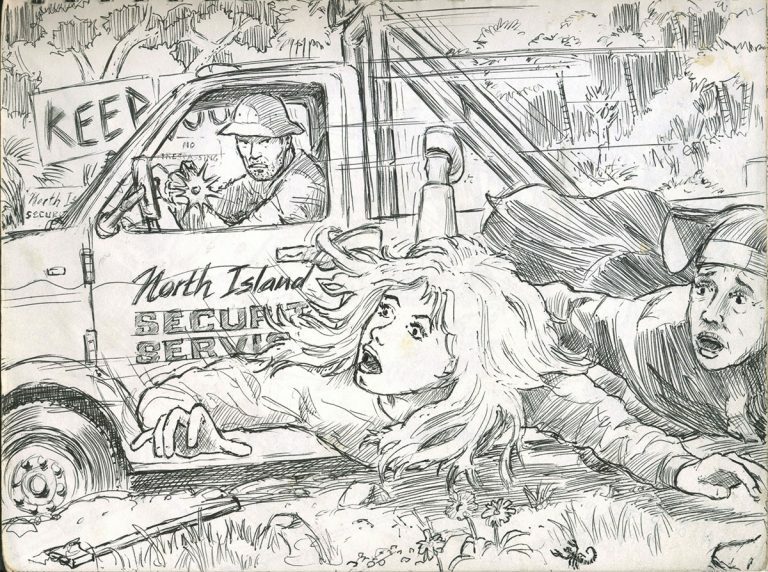 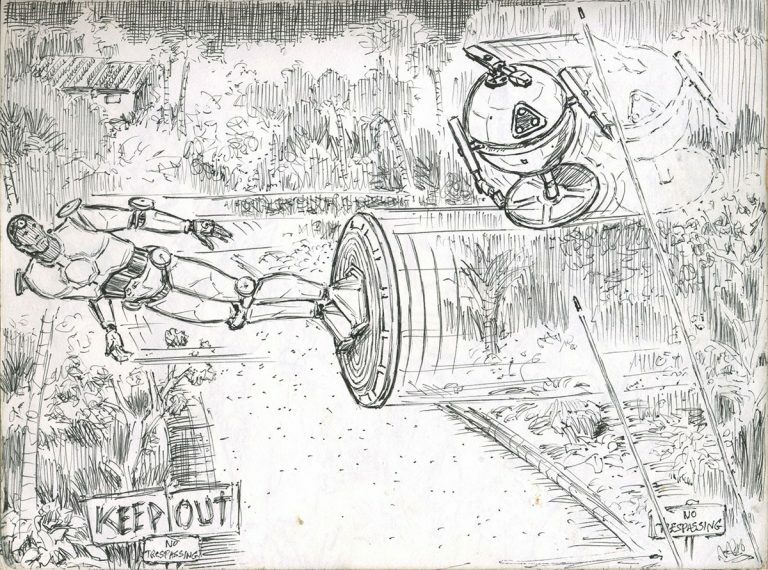 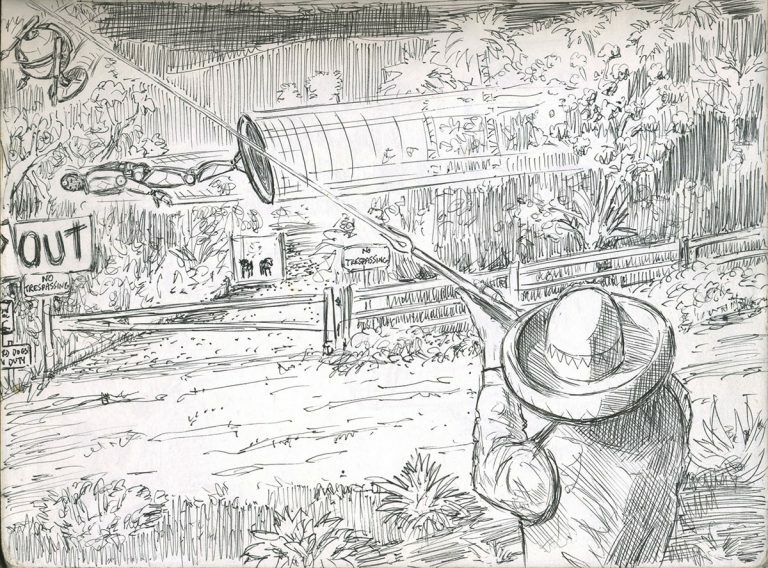 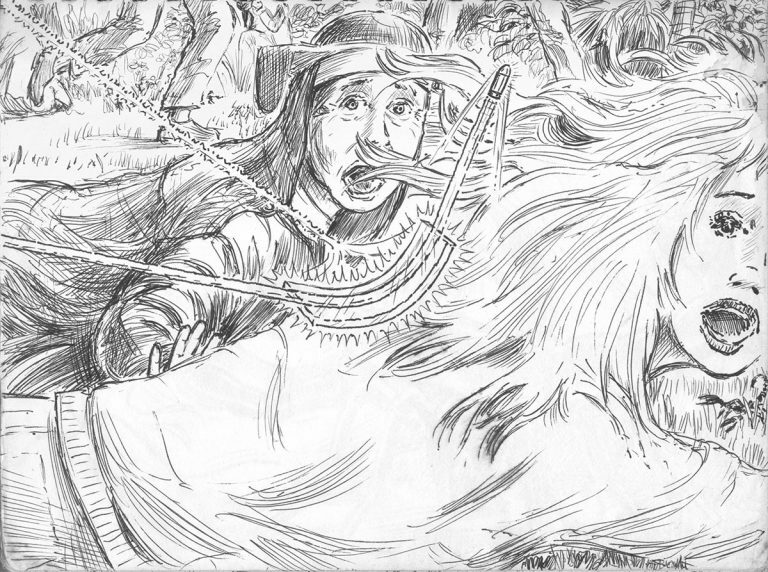 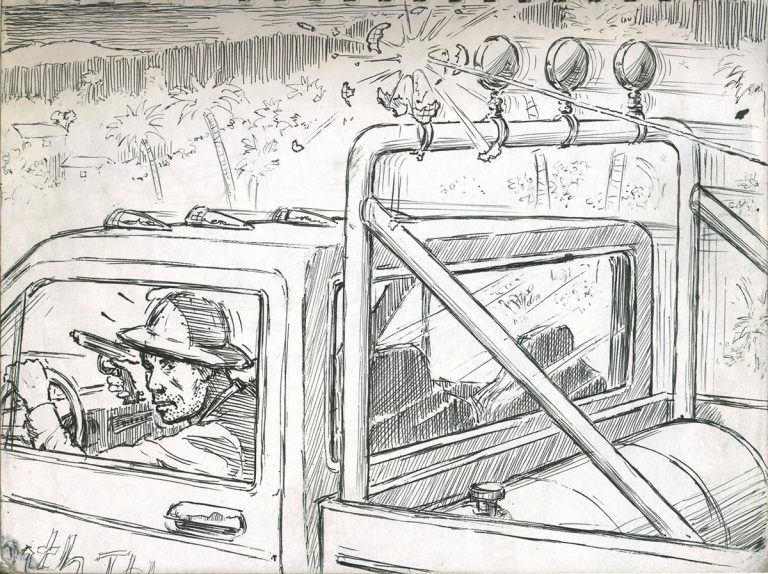 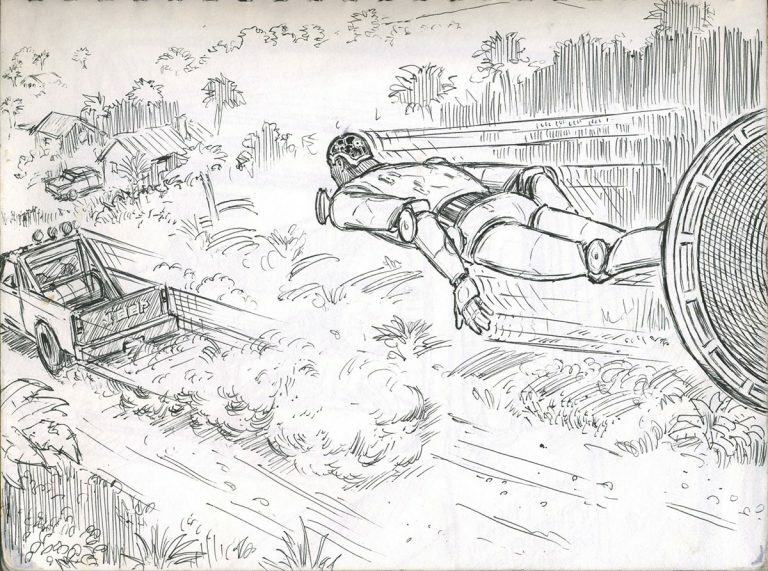 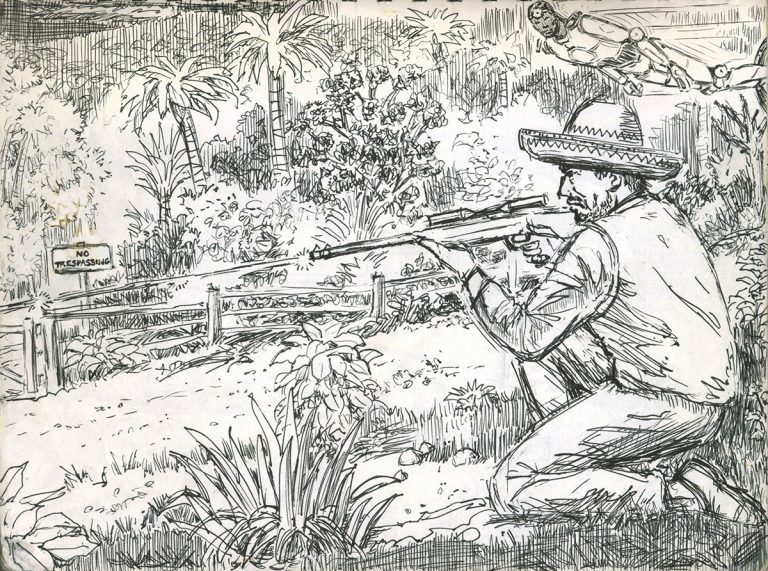 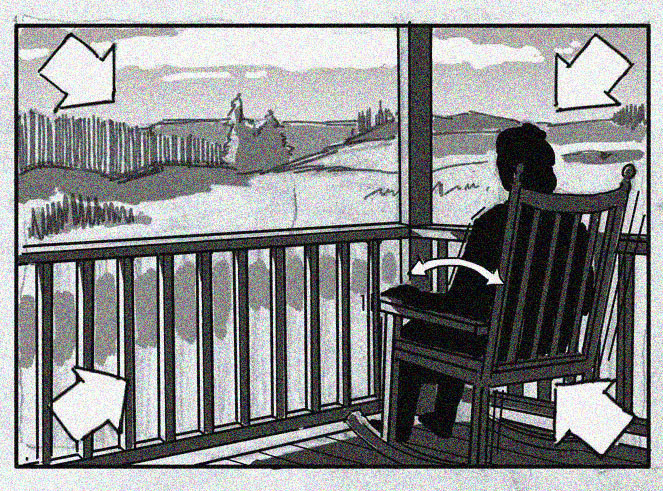 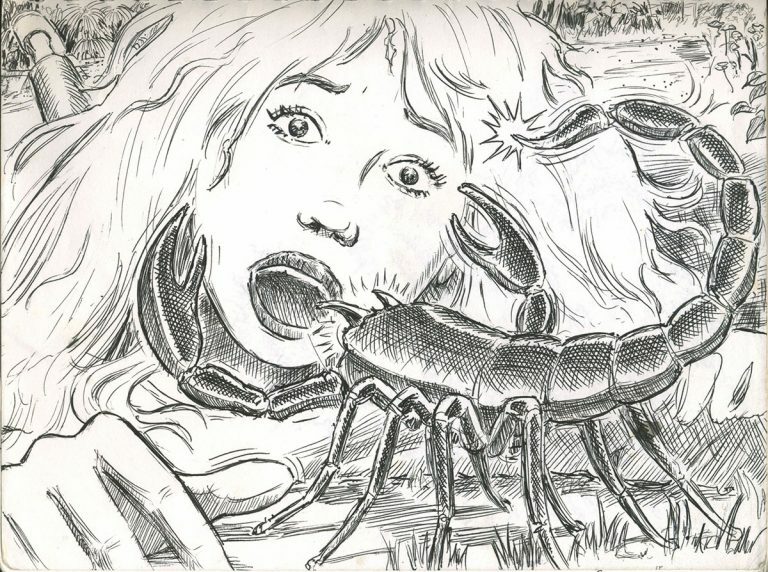 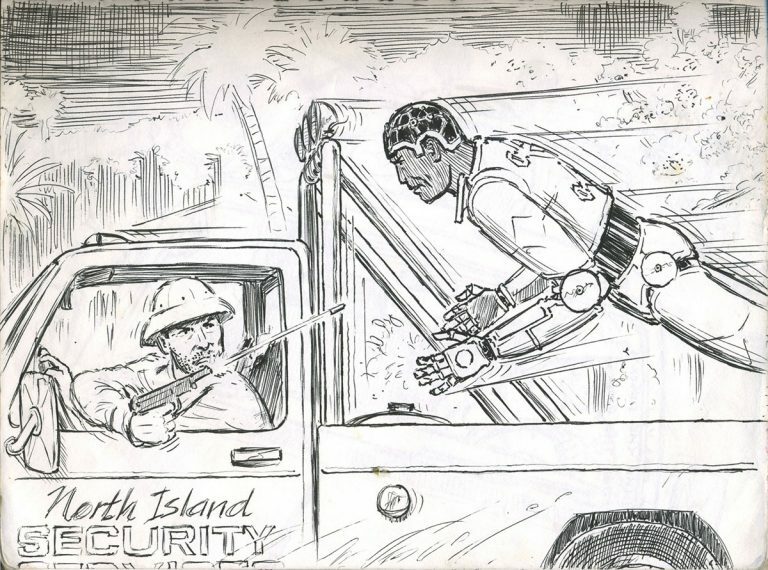 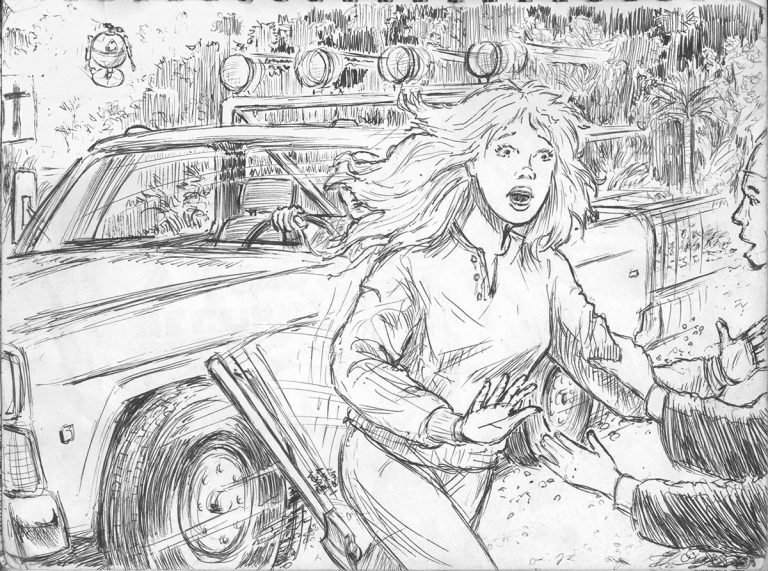 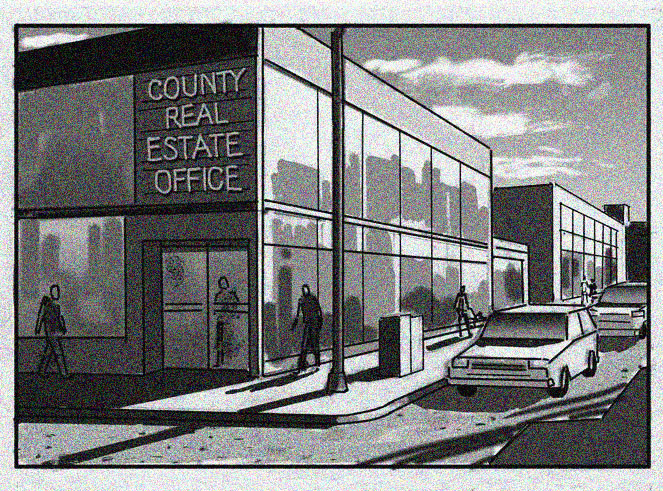 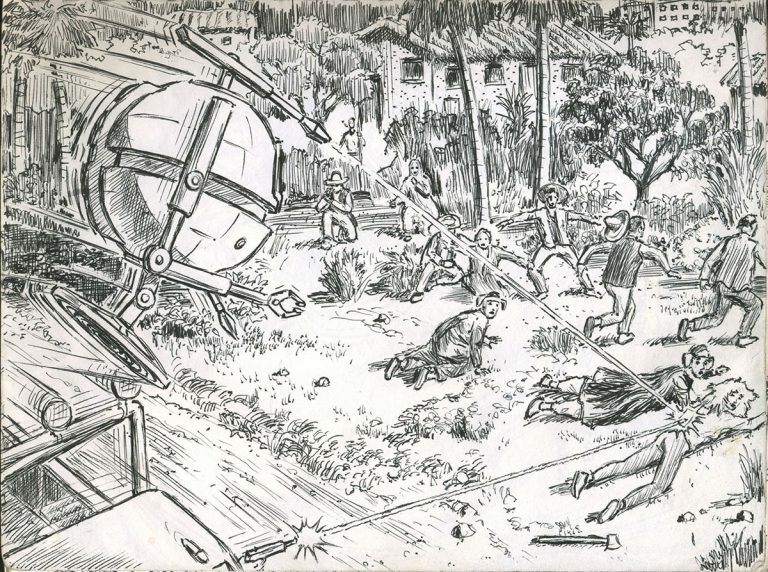 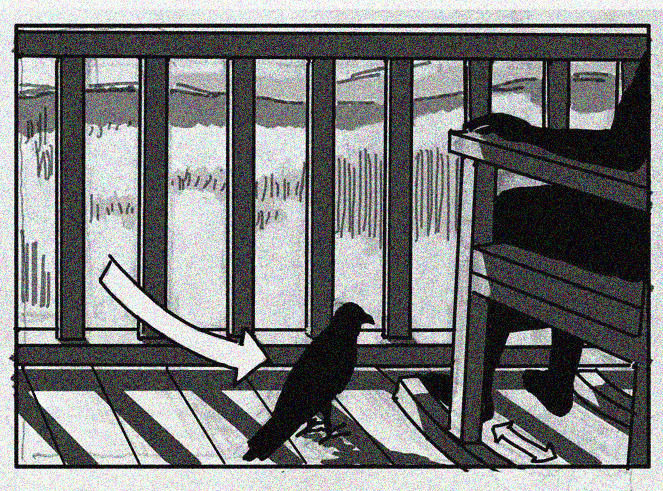 More of the classic, industry standard storyboards and ad comps here. 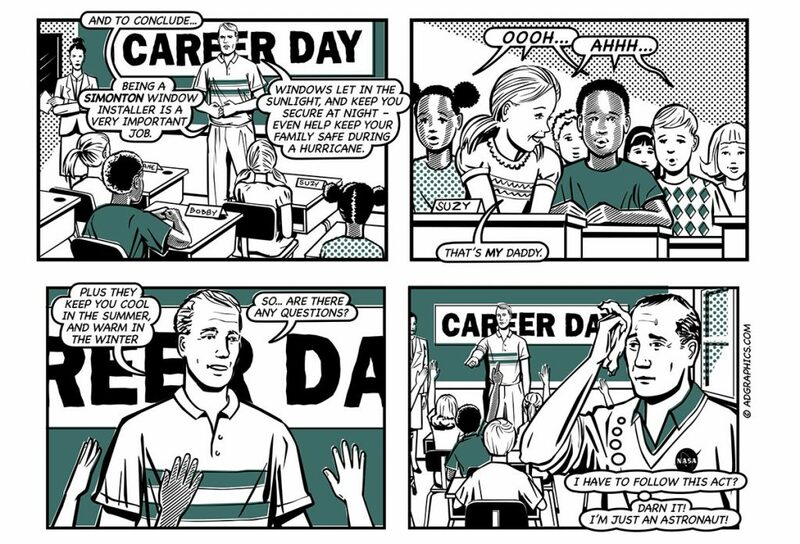 Since computers took over in the ’90s, this style of ad comping has become somewhat of a lost art, but we keep it alive at adgraphics.com! 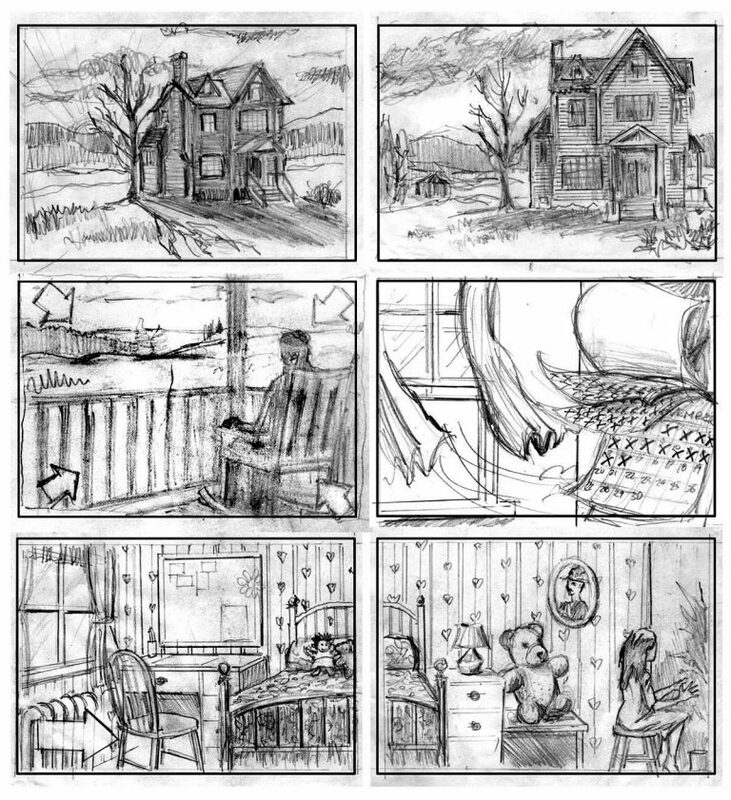 It’s done pretty well the same way as it was in the old days… using the Pilot Fineliner pen to ink in the drawing, except now instead of using a whole rack of magic markers, we’re able to simulate the magic marker look using various brush settings in Photoshop, so now there’s no more need breathe in all those dangerous fumes! 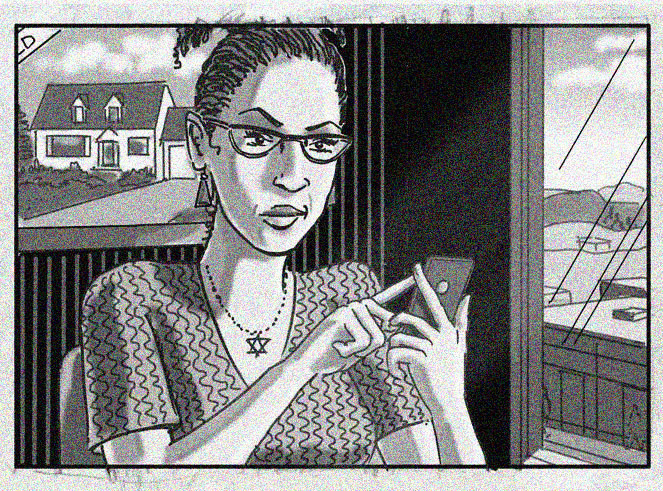 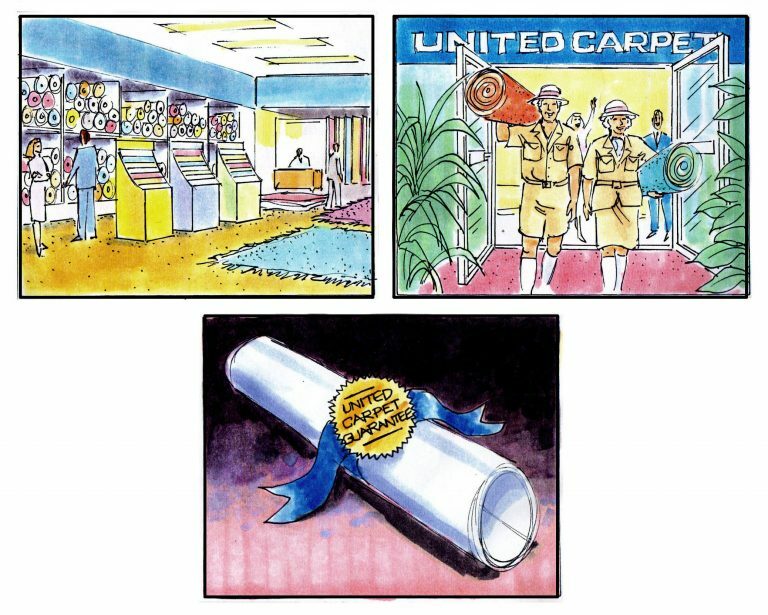 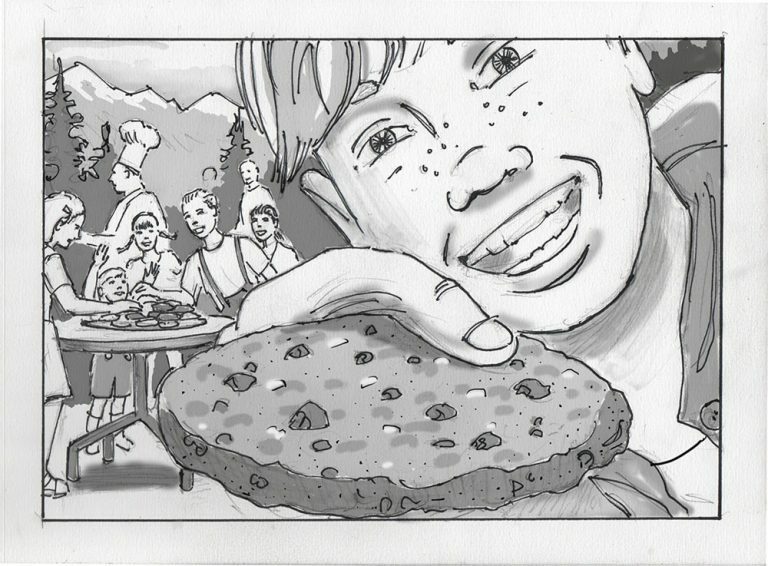 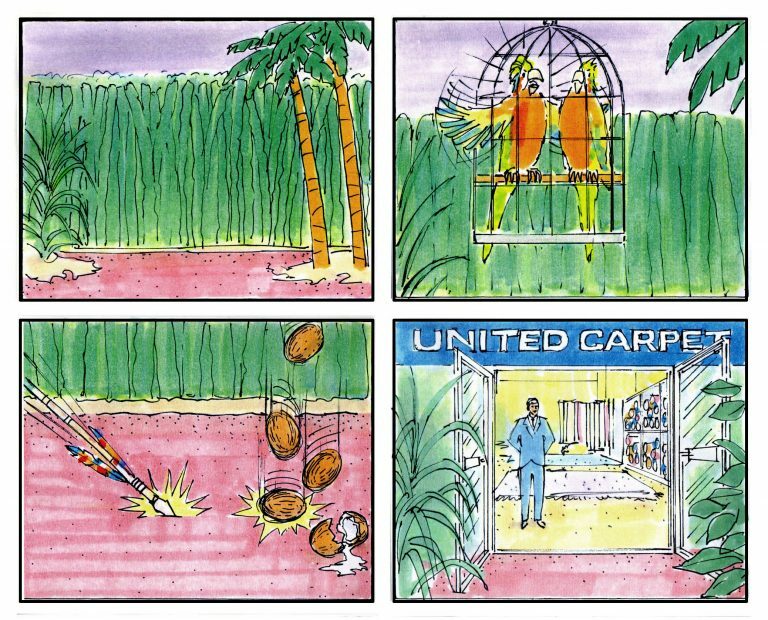 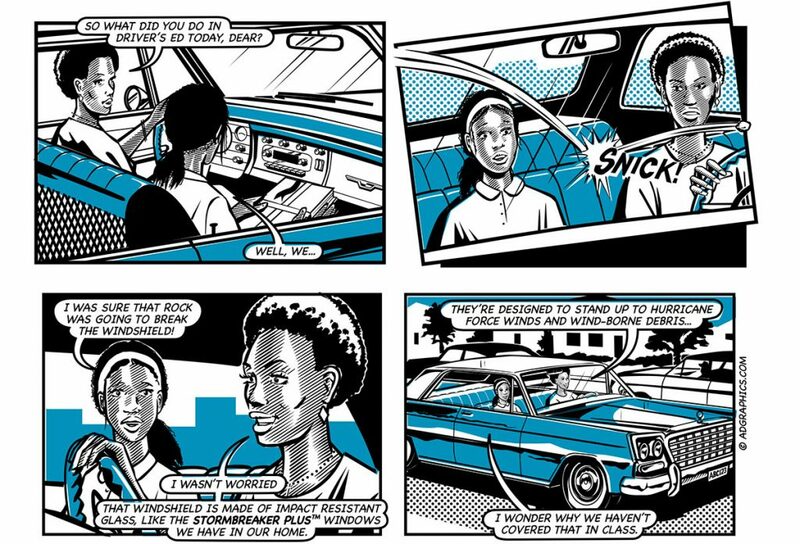 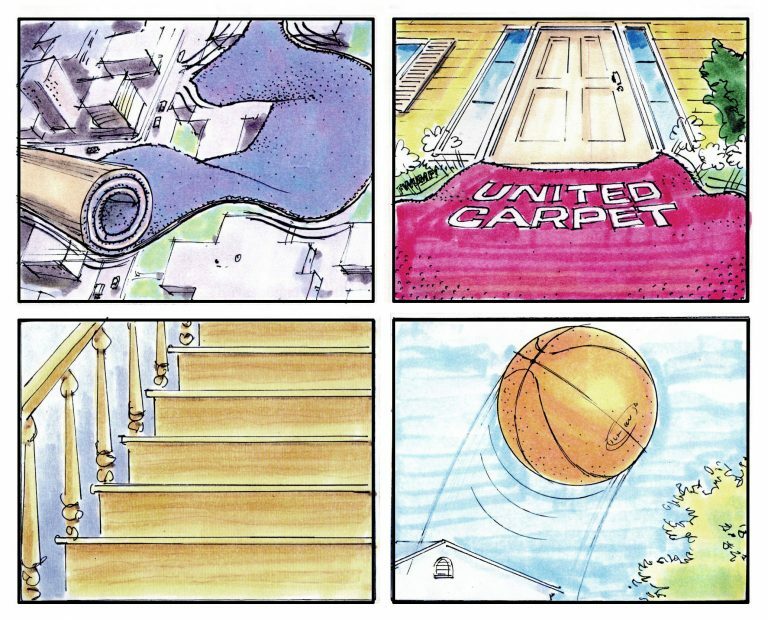 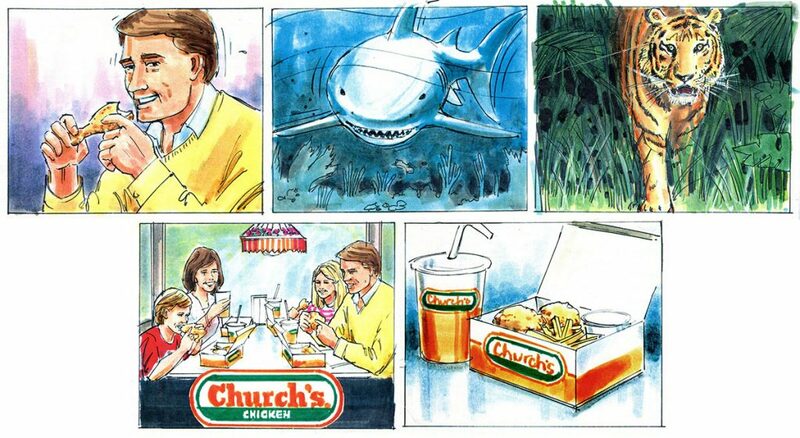 Here are a couple more of the classic “marker comp style” storyboards for a Church’s Chicken and United Carpet.